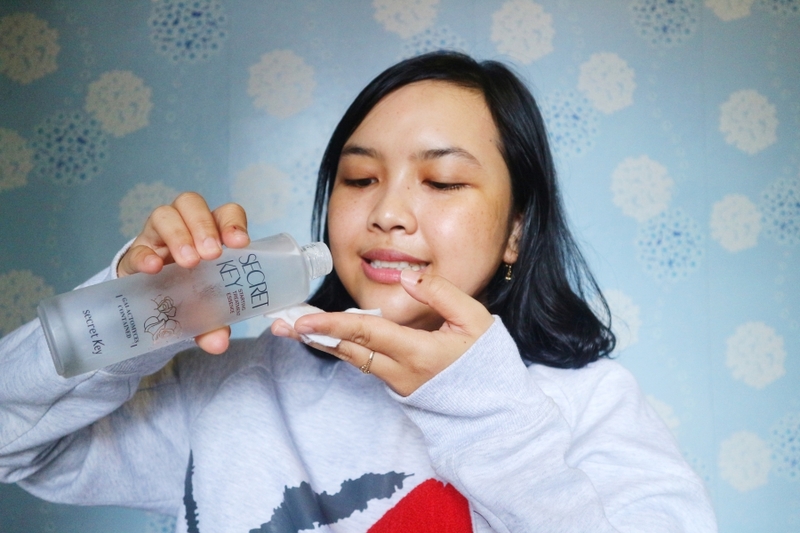 Speaking of my skincare routine, I always get excited to share with you guys and this time I got to try this Secret Key Starting Treatment Essence Rose. 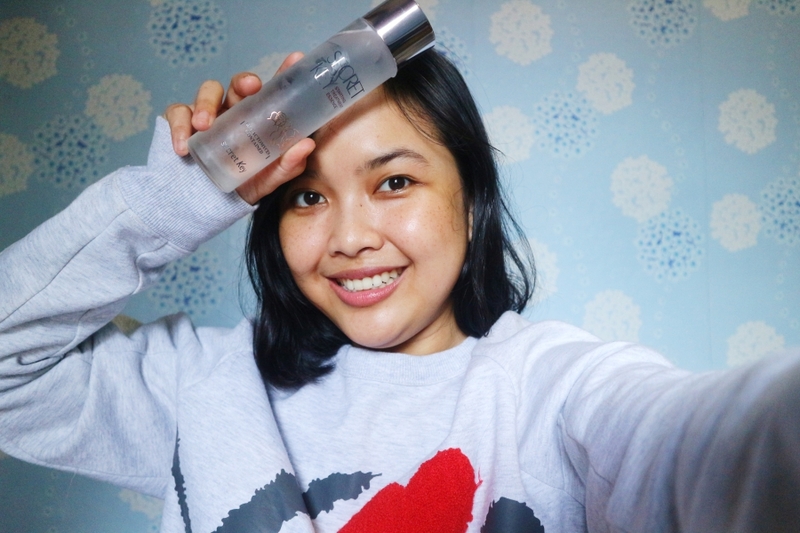 Essence merupakan salah satu produk skincare penting & wajib dalam skincare routine-ku. 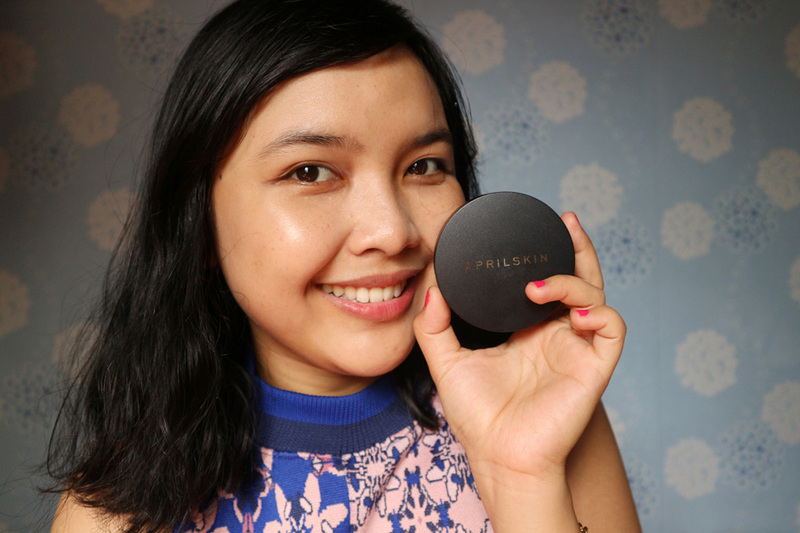 Pemakaian essence secara rutin mampu menjadikan kulit lebih sehat dan lembap, serta menstimulasi regenerasi sel-sel kulit yang baru karena target utama penggunaan essence adalah keriput, garis halus, dan kulit wajah kusam. 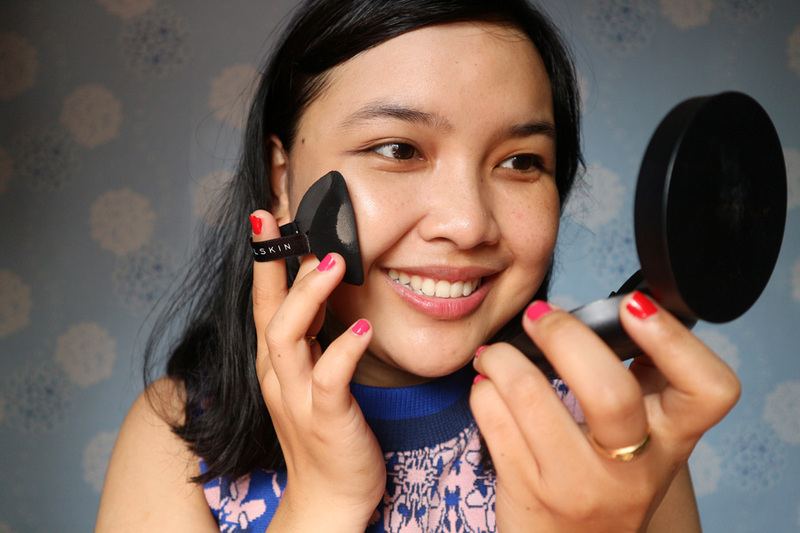 Produk Essence akan mempersiapkan wajah untuk menyerap asupan vitamin lebih maksimal dari serum, daily cream dan sunscreen. 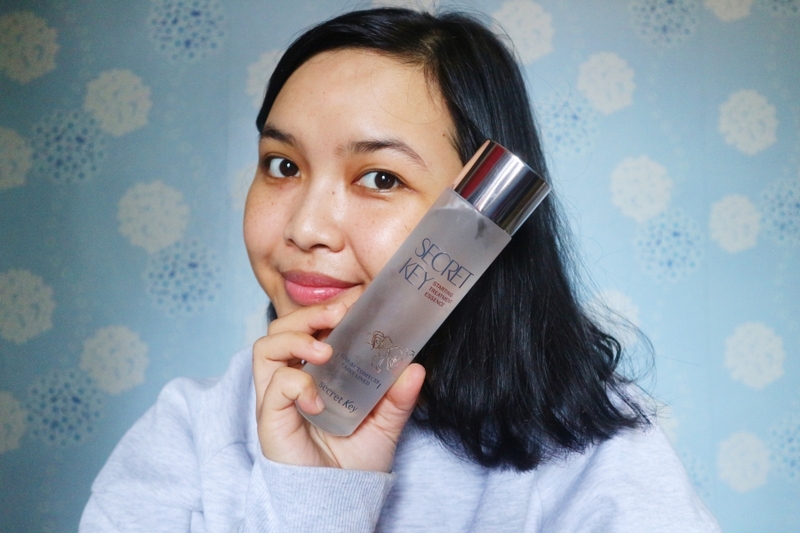 Secret Key Starting Treatment Essence Rose merupakan produk dari Korea Selatan yang mengandung 94% Galactomyces (ekstrak fermentasi ragi) penuh khasiat yang baik untuk kulit. 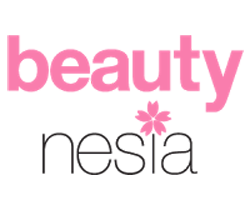 Essence ini memiliki kandungan protein, vitamin B1, B2, Niacin dan Asam Folat untuk memberikan nutrisi utk kulit wajah dan berfungsi untuk melembabkan kulit, mengurangi jerawat, mengontrol minyak berlebih di wajah, menghaluskan tekstur wajah, dan mencerahkan. 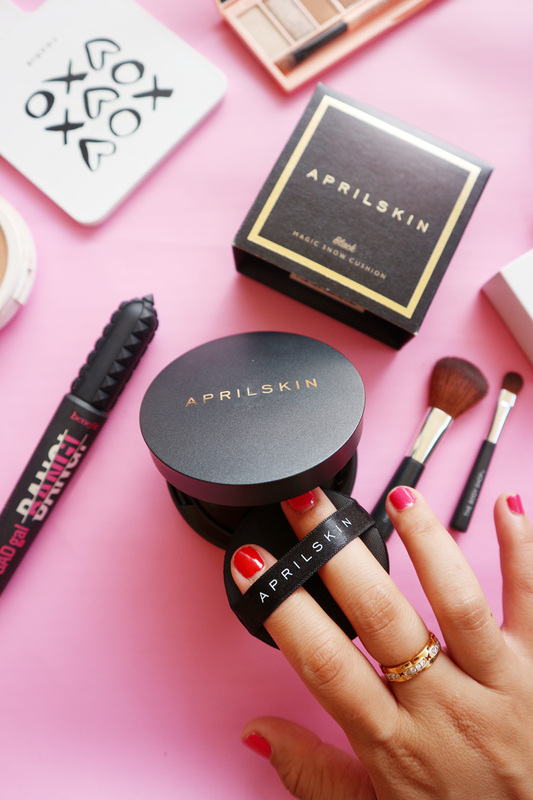 Produk ini SK di klaim 7 free system yaitu Paraben, Mineral Oil, Benzophenone, Alcohol, Animal Oil, Color & Spice. 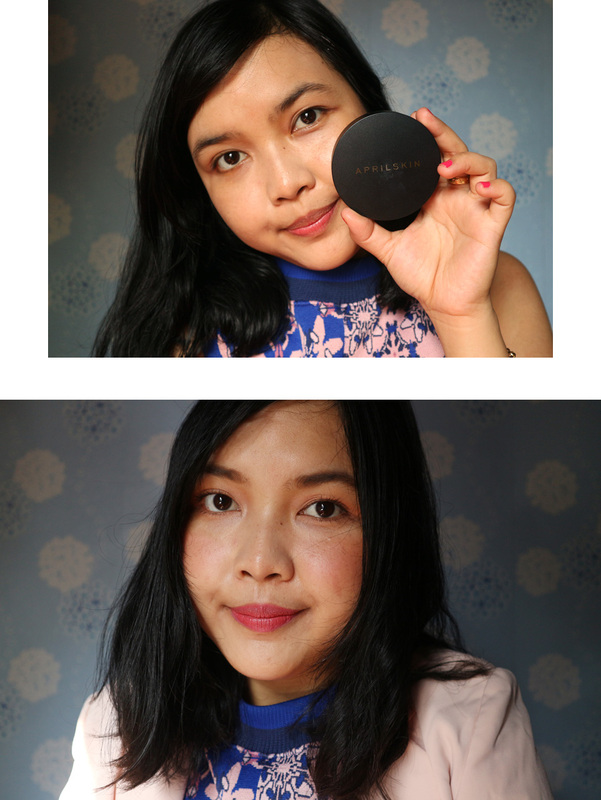 Aku selalu mengaplikasikan essence setelah cuci wajah dan dilanjutkan menggunakan toner di pagi dan malam hari.Cara mengaplikasikan essence ini, aku menggunakan kapas setelah cuci muka. Aku biasanya pakai 2-3 tetes untuk sekali pakai. 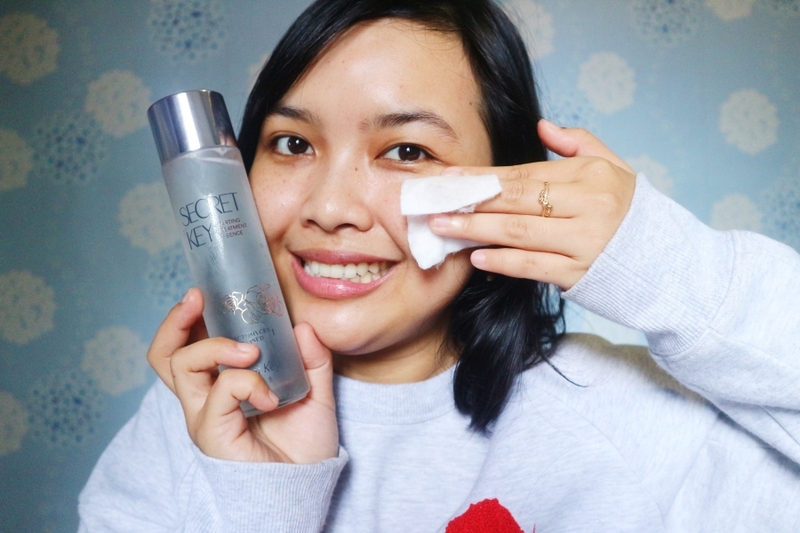 Essence ini seperti toner, cepat meresap ke kulit wajah. 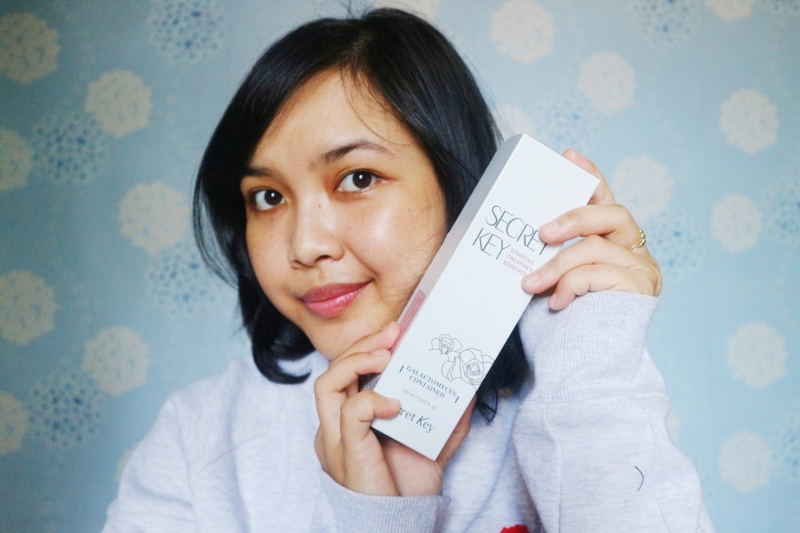 Before applying Secret Key Starting Treatment Essence Rose. 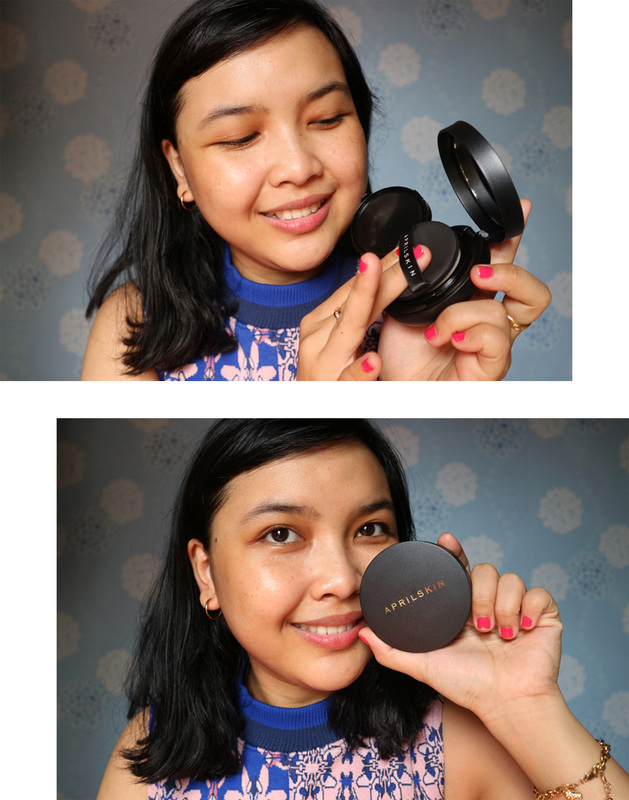 After applying Secret Key Starting Treatment Essence Rose. DAY 2 IN SEOUL, SOUTH KOREA. 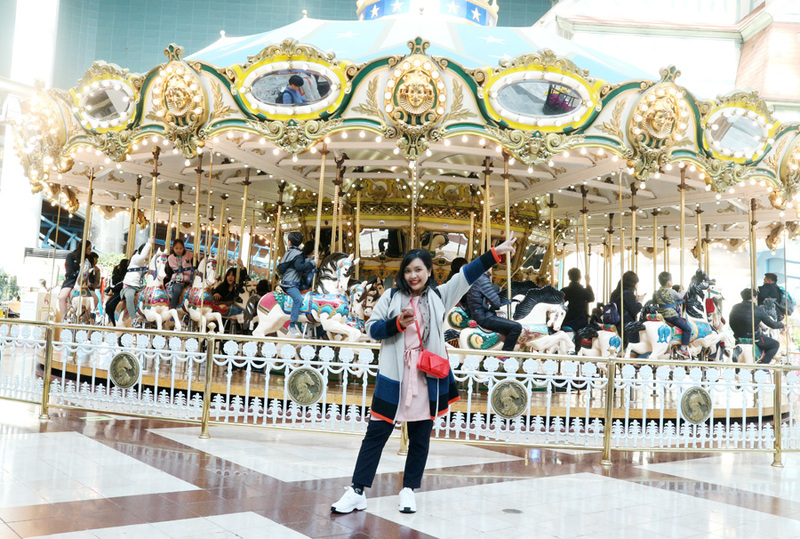 No visit to Seoul would complete without heading to the Disneyland of Korea aka Lotte World! As a grown adult who loves to look for that extra kick of adrenaline when travelling, you’ll definitely find me at theme park. 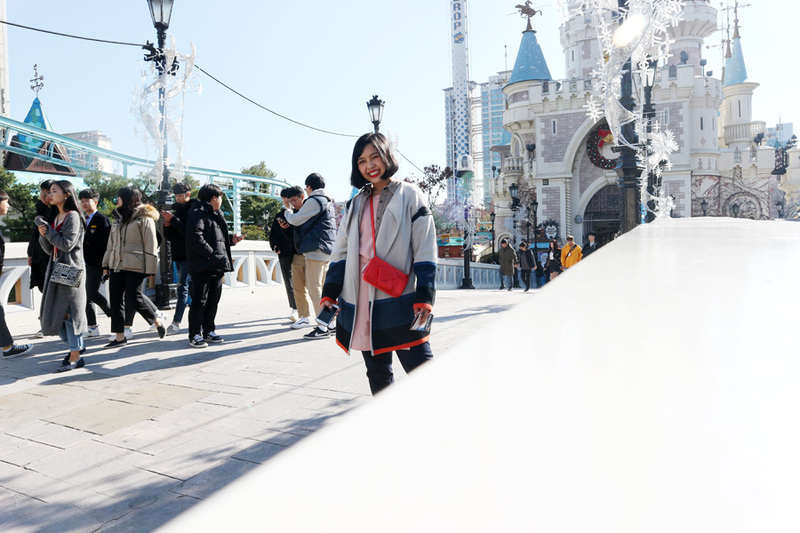 If you google Lotte World, you are bound to see a lot of good feedbacks saying it is one of the best theme parks in South Korea! 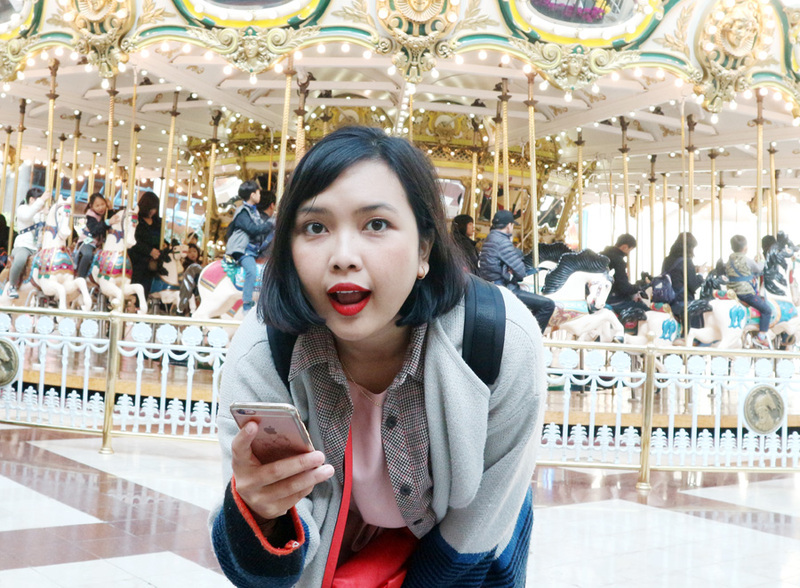 So if you are in Seoul, this is the first theme park you should check out! I woke up around 6 AM to do morning laundry then had my breakfast at the hotel. 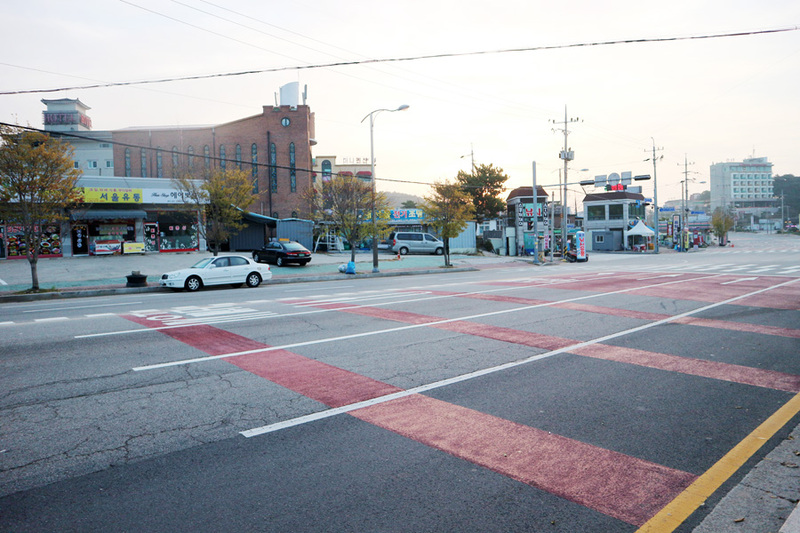 Around 8 AM I strolled around Myeongdong street then decided to go to Ehwa Women University before going to Lotte World. But I got lost and entered to wrong station (maklum lah ya baru 2 hari di Korea masih belum ngerti baca Subway map), jadi pagi itu aku jalan-jalan di sekitaran daerah Ahyeon sambil mencari Ahyeon station untuk menuju Jamsil station. Menurut aku, tersesat saat solo traveling bukan hal yang mengerikan sih, asalkan kita tidak malu untuk bertanya ke penduduk lokal, kita gak akan merasa bener-bener tersesat kok. 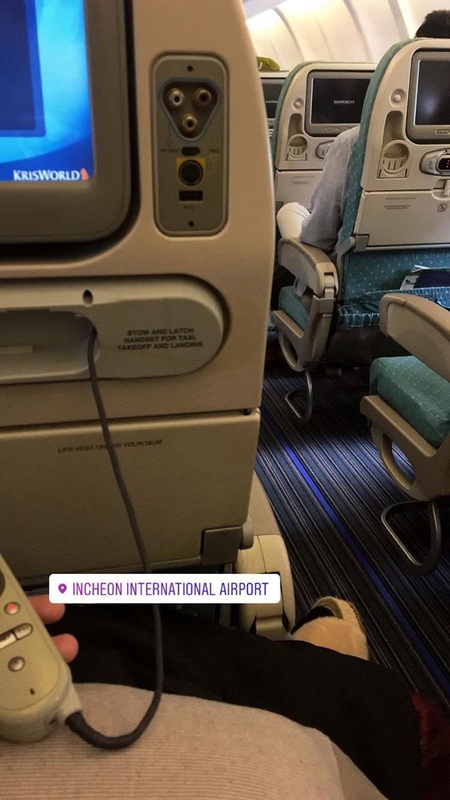 Meskipun penduduk kota Seoul tidak terlalu ramah seperti penduduk lokal Tokyo, kemungkinan besar jika terjadi penolakan untuk berkomunikasi saat kita tersesat adalah karena mereka tidak bisa mengerti bahasa asing (I speak english during my solo trip) atau mereka bingung untuk menjelaskan dalam bahasa asing. Tapi tidak apa-apalah, selama tersesat di Ahyeon aku bisa juga nyampe ke Lotte World yang ada di stasiun Jamsil. 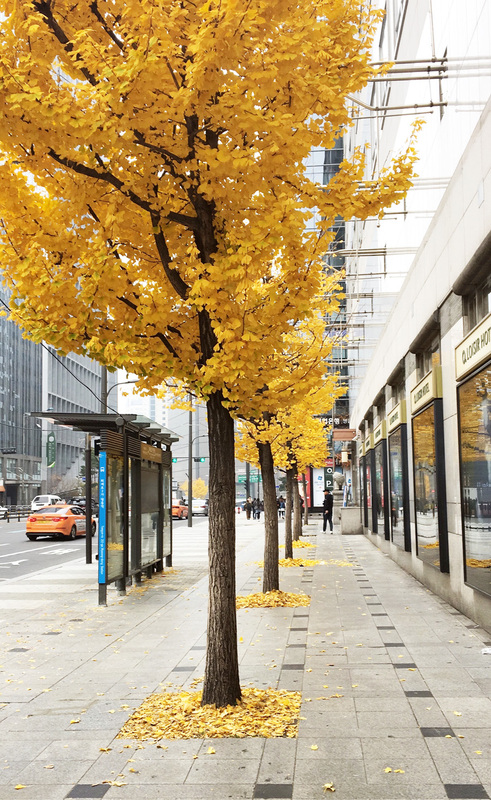 The best way mode of transport in Seoul city is the city’s clean and inexpensive subway system. Signage and announcements are in Korean, Japanese and English, making the experience a breeze for foreign travelers. The journey took about 40 minutes to get to Jamsil station from Ahyeon station. 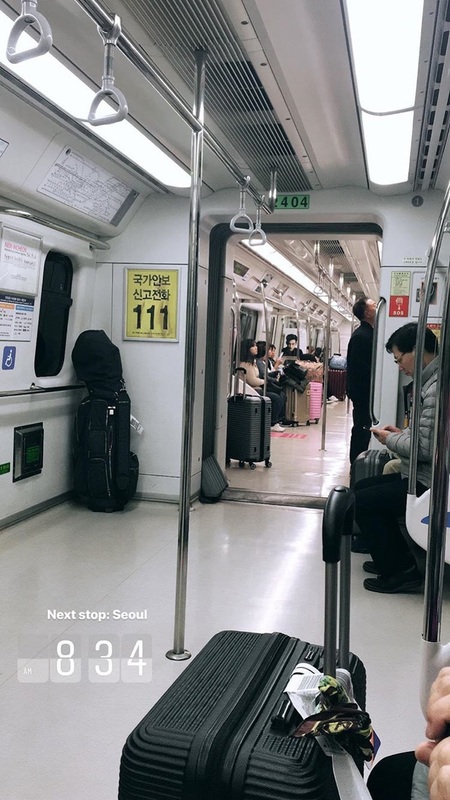 Selama di Korea kalian perlu banget download aplikasi untuk transportasi subway selama di Korea, I use KakaoMetro app. To go to Lotte World I need to take Line 2/ Line 8 Jamsil Station and just keep a lookout for Exit 4. You would see a mock-up version of Trevi Fountain along the way. Look at how gigantic the indoor theme park is! 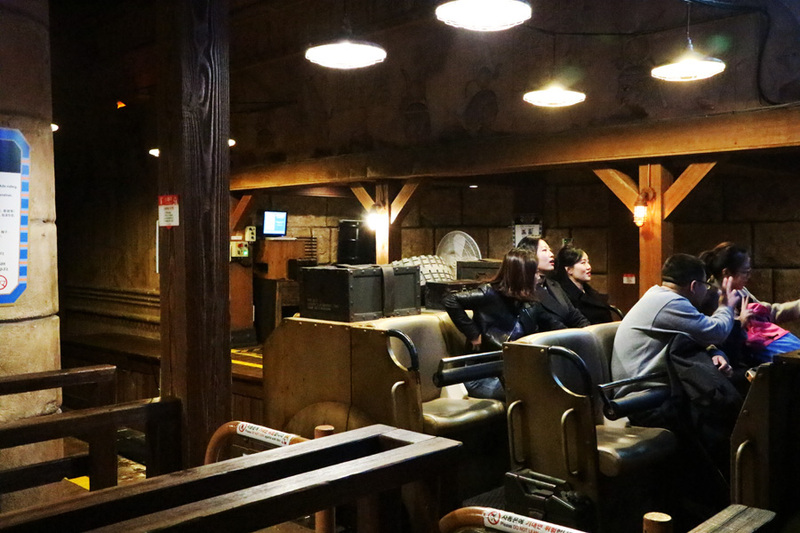 The warmth in the indoor theme park was very welcome with the freezing cold outside. However, the indoor rides were more for smaller kids. 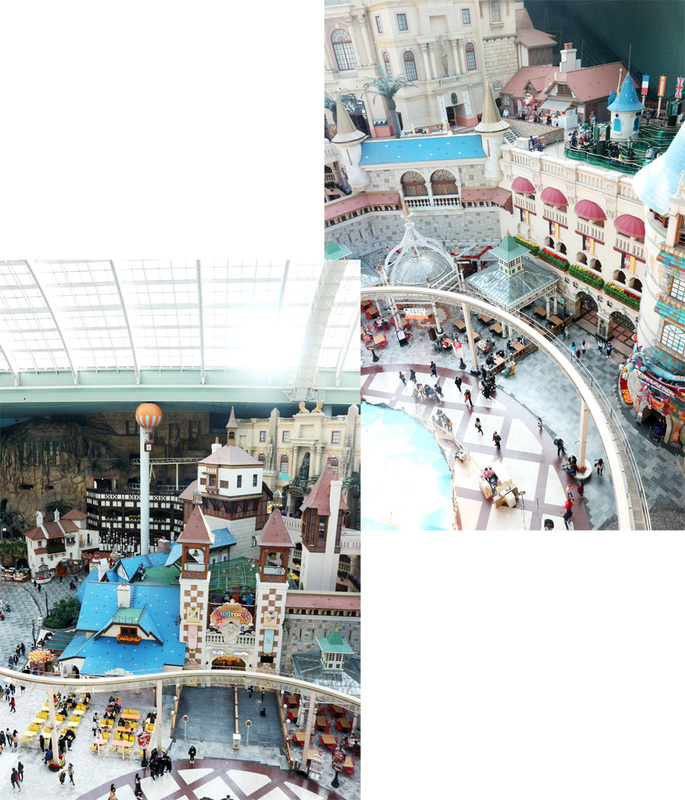 Lotte World has quite a confusing layout so it’s a must that you find a map. The indoor theme park has so many floors and hidden attractions that it’s possible for you to miss some of the best ones. I actually bought my ticket online from this website called Indiway, used to be called Funko / Funtastic Korea. I spent some time trying to google for a good deals. 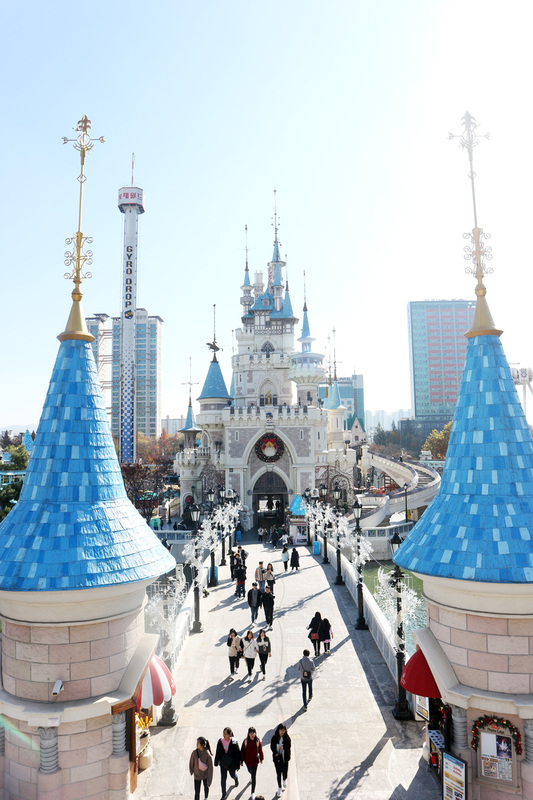 It was hard to believe when I saw this deal, Lotte World and Lotte World Aquarium tickets for only 42.000 won. I booked the tickets in October and paid for the tickets when I arrived in Seoul yesterday. The next thing after I paid the tickets is I was equipped with email voucher on my phone and I need to go to the South Gate Ticket office to exchange the email voucher to real physical ticket (you don't need to wait in the long queue outside the ticketing booth to buy your ticket) and I was ready to start the day. For your information, the discount is for foreigners only, so you must show them your non-Korean passport to redeem the voucher for a ticket. 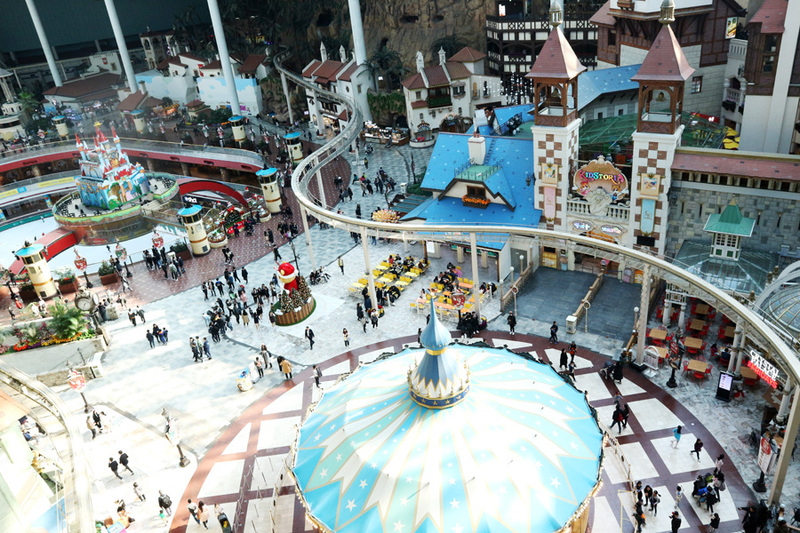 Lotte World is home to a theme park with both indoor and outdoor elements. 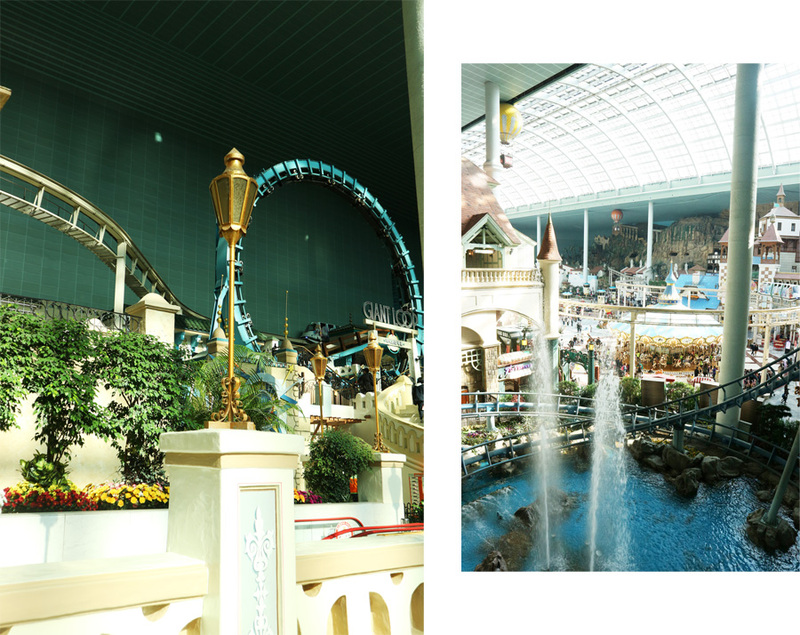 Lotte World is divided into Lotte World Adventure; an indoor world themed area as and Magic Island; an outdoor themed area. It has 45 attractions features a range to serve every age group. This place was packed with mostly couple's, kiddos and teenagers, the park is mostly filled with South Koreans. 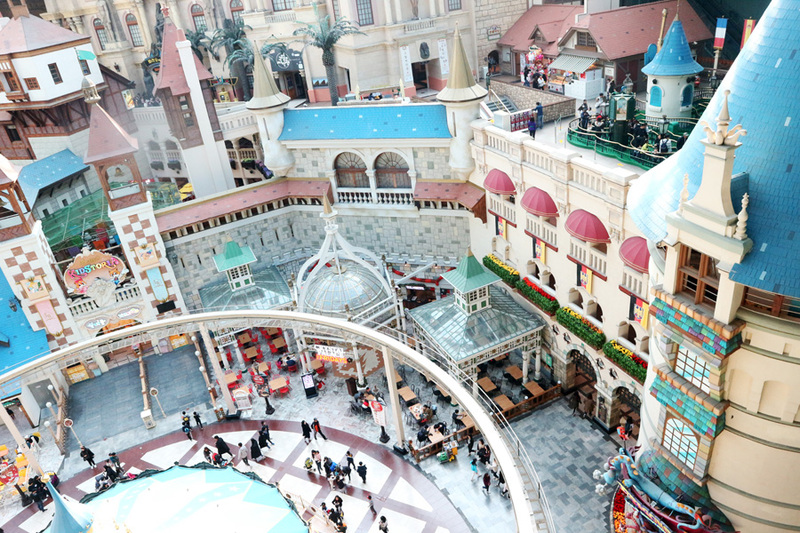 Lotte World Adventure has 22 different rides and the place usually host the parades and shows. 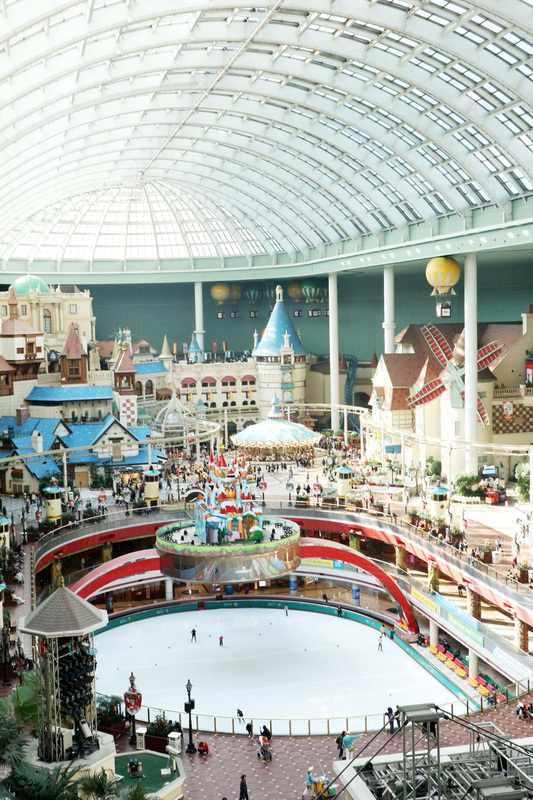 Because Lotte World is indoors, there is glass dome covers most of the ceiling and allows for the park to be lit by natural light. 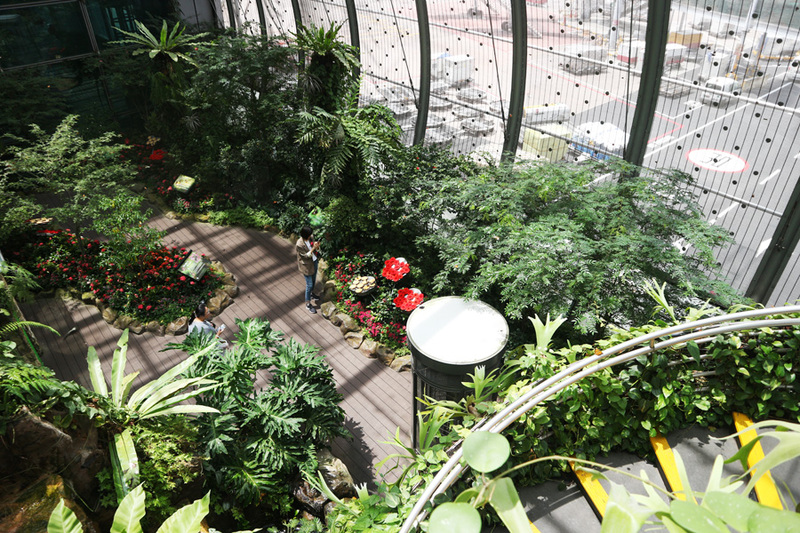 The indoor park itself is a sight to see. 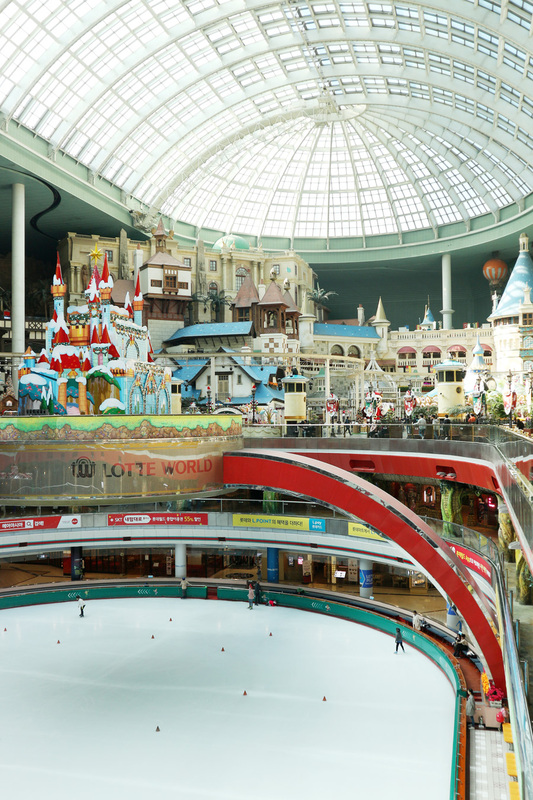 There is ice skating rink inside the Lotte World Adventure. I visited during super cold November and the lining was not horrible. 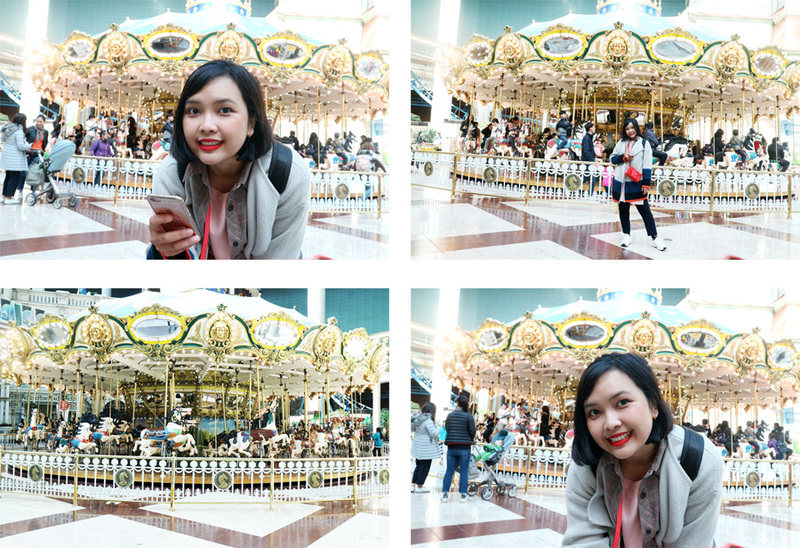 The attractions/rides in Lotte World are fun and different from the ones I've been in other countries. If you like the thrill of being upside down. As you go through a 360 degree loop, the ride will stop whilst upside down. I also had a chance to try VR Experience, it costs around 13.000 won. So expensive but it was definitely an experience I would not forget. It may all seem too real, but don’t confuse it for reality! 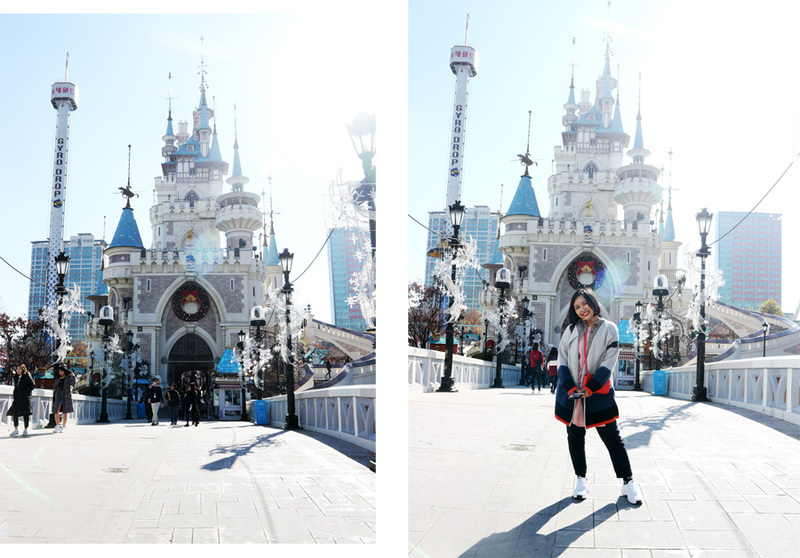 I went to Lotte World on Monday around 10.30 AM. And it was already crowded in the morning. So, please make sure you reach there as early as it opens. Some of popular attractions/rides that give you the rush of adrenaline will have super long queues, you need to wait at least 1–1,5 hours per ride. Surely, there are still some rides that you just have to wait for only 15-30 minutes for normal rides. It may be very long queues on a holiday and weekend. 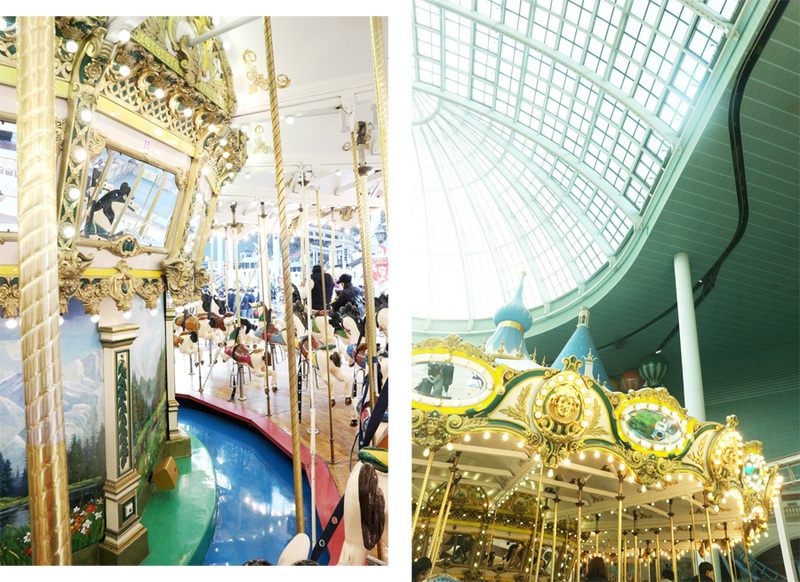 Most note worthy and iconic to Lotte World is the Camelot Carousel! 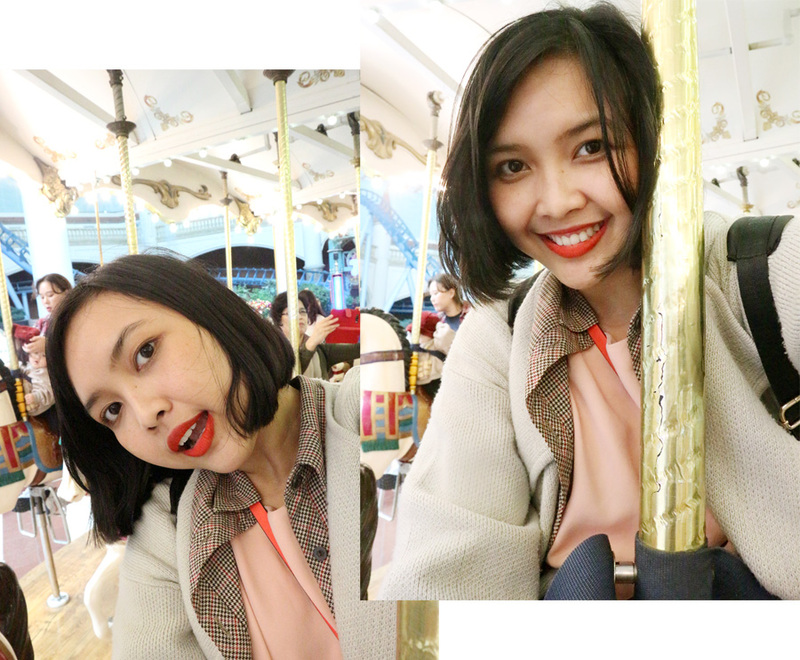 Dari awal niat foto disini karena disuruh teman Korea-ku, doi ngasitau kalau photozone yang paling terkenal itu di Merry Go Around / Camelot Carousel, yauda aku ikutin sarannya. 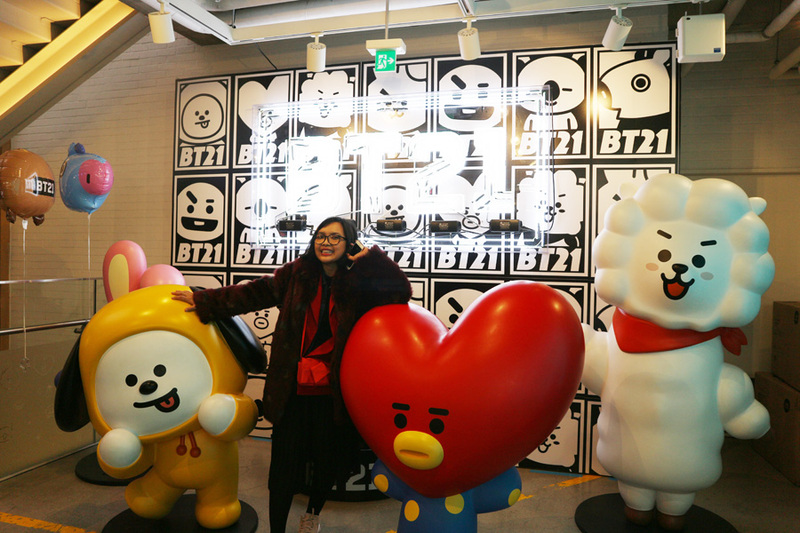 Ternyata oh ternyata Kim Namjoon BTS itu juga pernah foto disini juga (I’m not sorry for my inner fan girl huahahahaha). A selfie of myself riding on one of the wooden horses. I suggest you to take a ride and resting your feet after conquering all those heart thumping rides! Get one of the best views of the entire adventure park as you sail around in your hot air balloon! Just look down at the sparkles and colours of the park and try to spot all your favorite rides. 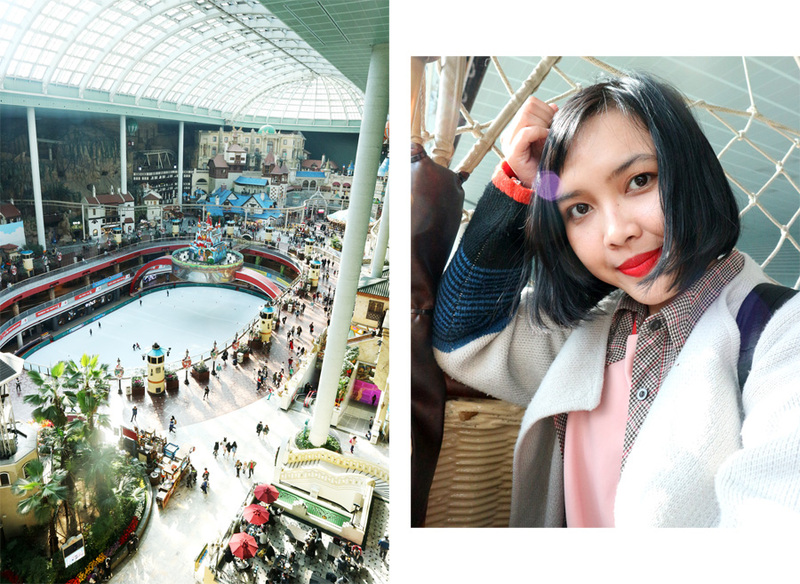 I spend around 6 hours at Lotte World before going to Lotte World Mall & Lotte World Aquarium. The Egyptian-themed experience takes its cues from Indiana Jones Adventure. The ride is fairly creepy (giant crocodiles, a cave full of bats and one vengeful mummy). It’s a relatively slow-moving experience. 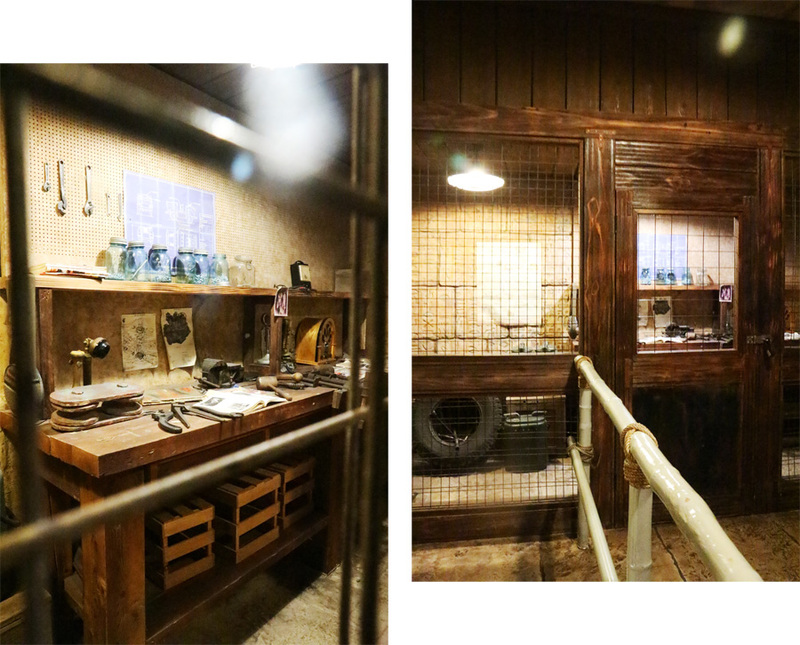 I love Journey to the Center of the Earth at Tokyo DisneySea more, that was the best ride I've ever tried when I was in Japan. 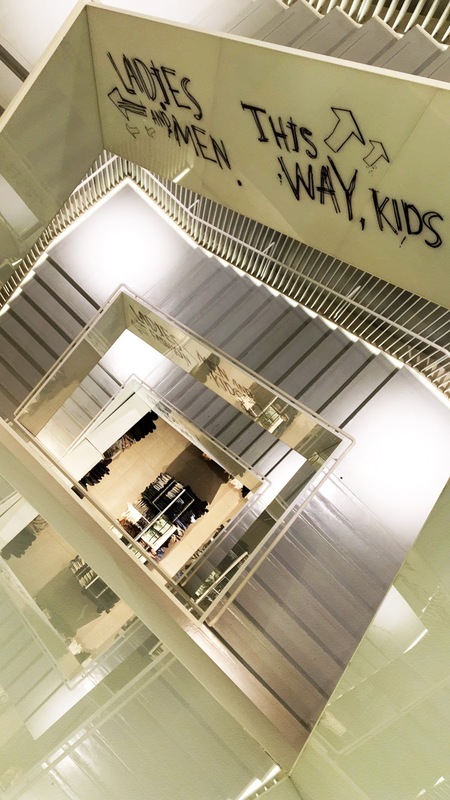 Now, let’s go to the outdoor theme park located on the second floor next to the escalator. 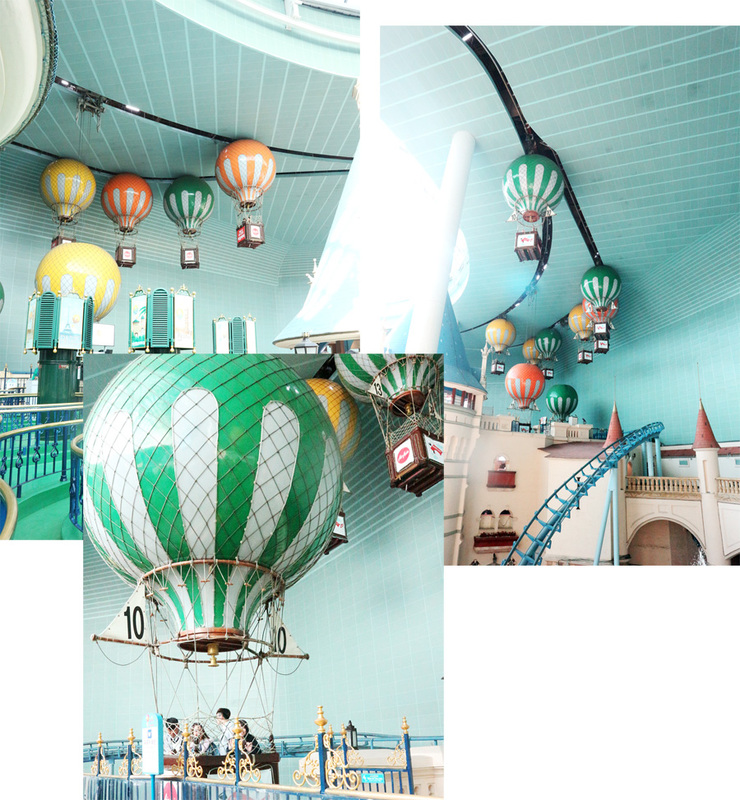 Lotte World’s outdoor extension, Magic Island. Managed to take some mandatory photos in front of Disney-like blue-turreted castle with the help of two foreign travelers, I think they are from South East Asia. I used self-timer to take my photo before two Asian girls help me to take my photos. 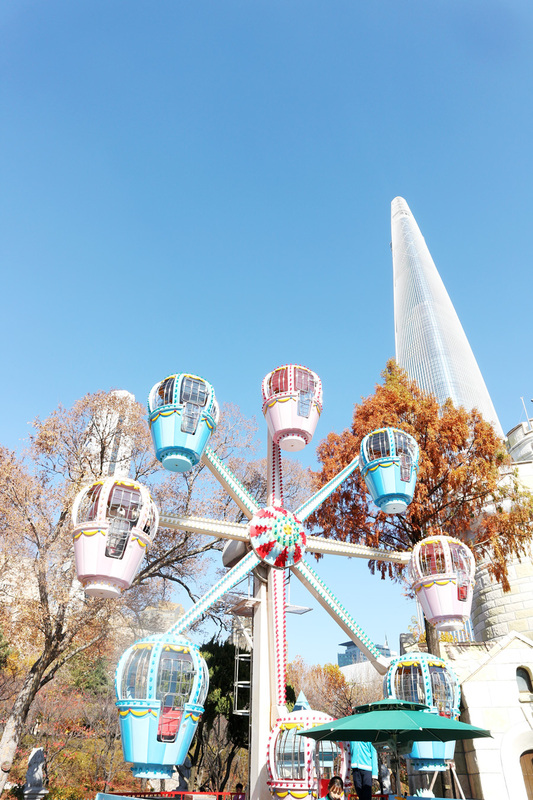 Magic Island is built in the middle of the Seokchon Lake and boasts 17 different rides! 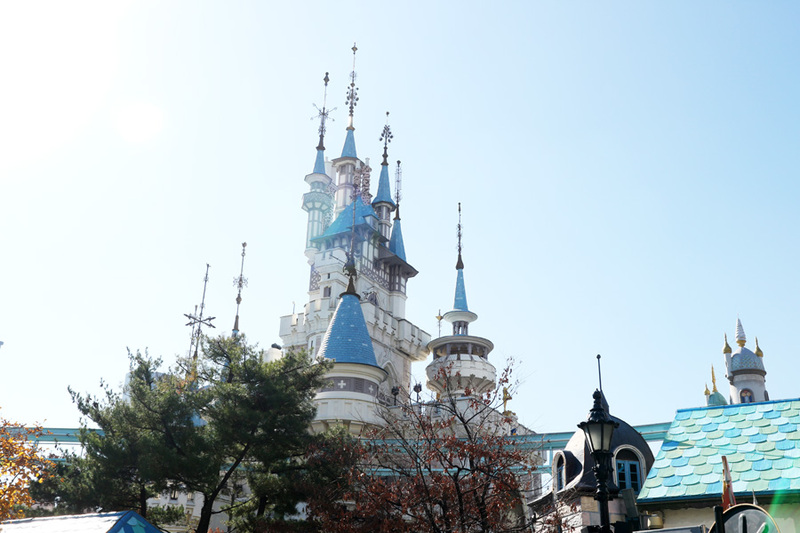 I’m a fan of challenging attractions so yeah I tried Gyro Drop attraction behind this castle (my Korean friend, Dong Yeon suggested this ride). Too bad, I didn’t get to go on that many rides that day. 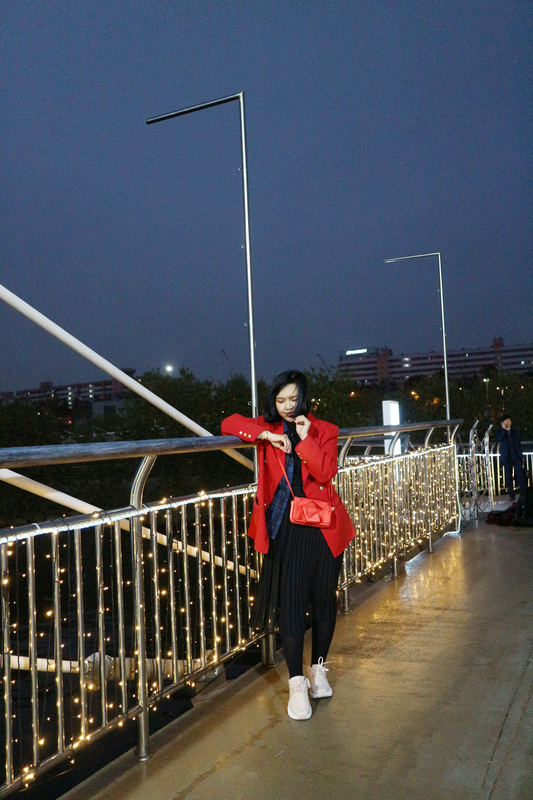 Definitely I will go to this place again when I visit South Korea. Free fall from a height of 70 meters at a speed of 100km/hour! My heart dropped out of my chest. 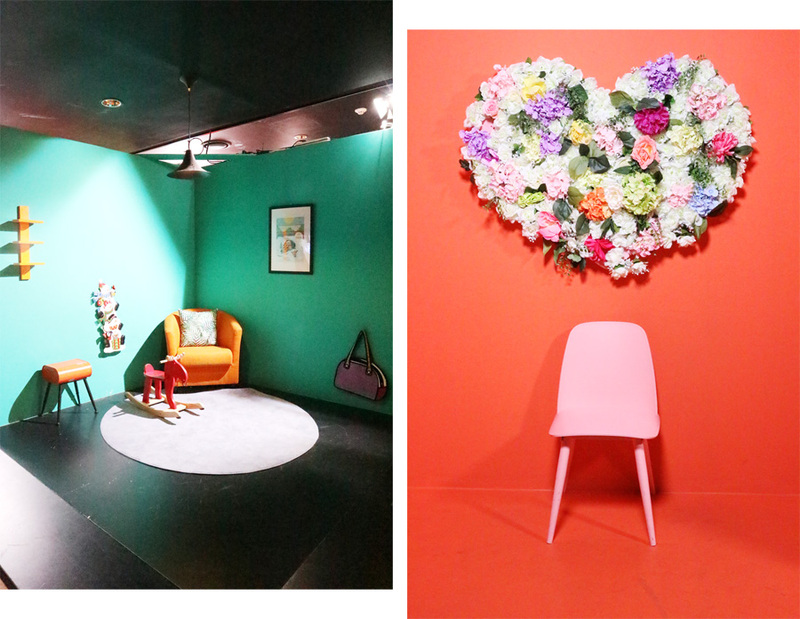 But I could say Histeria at Dunia Fantasi, Jakarta is way better and funner. 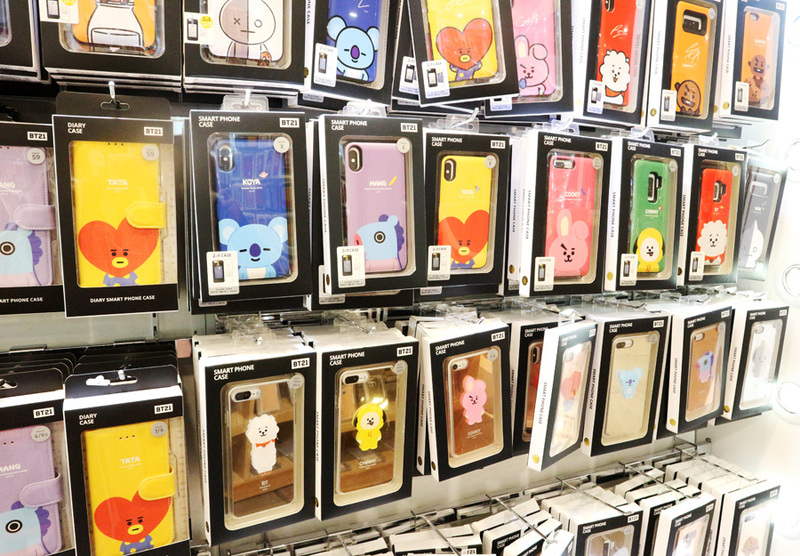 Found the unofficial BT21 phone case inside the Lotte World adventure. 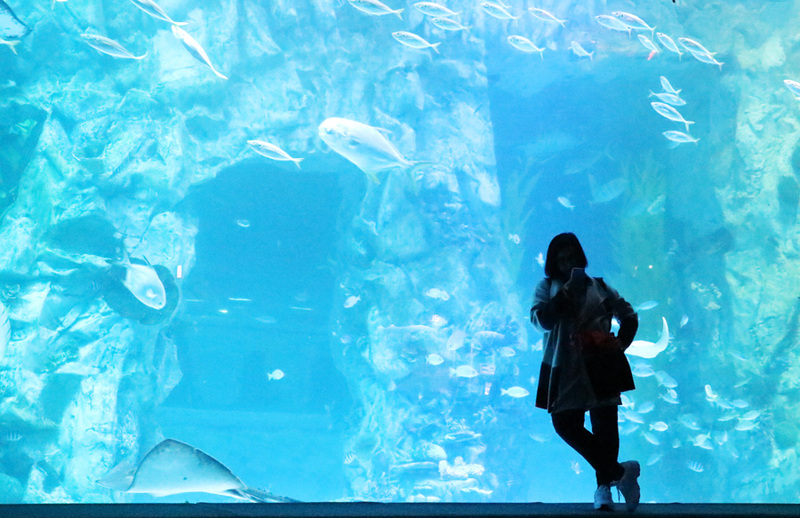 Lotte World is also home to an aquarium. 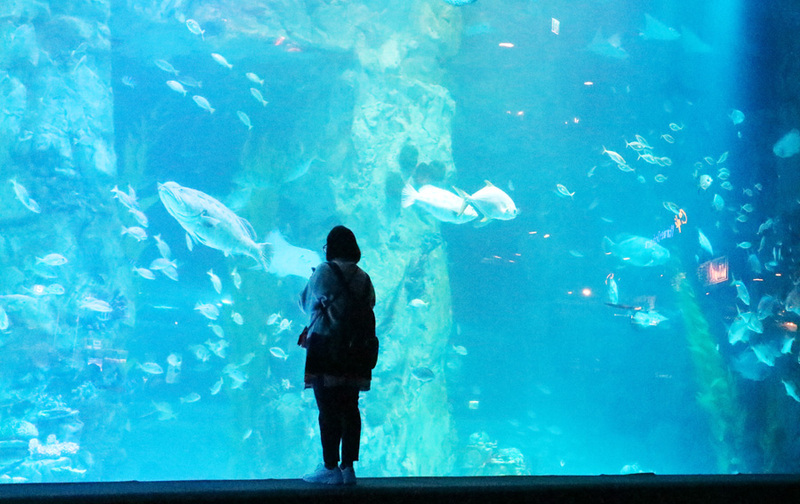 I went to Lotte World Aquarium at 5 PM. 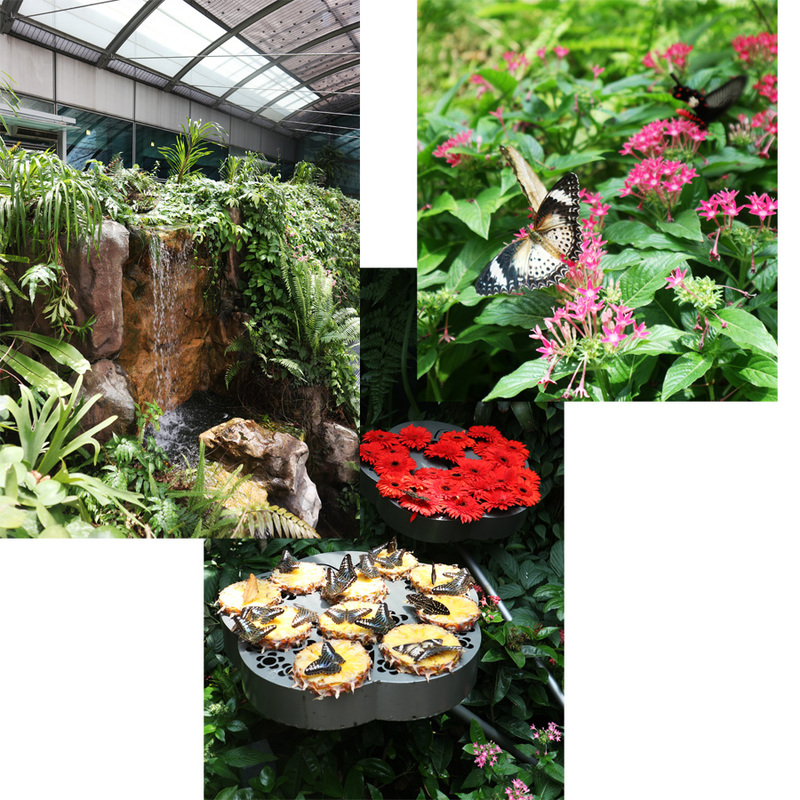 the opening hours on weekdays (Mon-Thurs) are 10am to 8pm and the opening hours on weekends (Fri-Sun) are 10am-10pm. 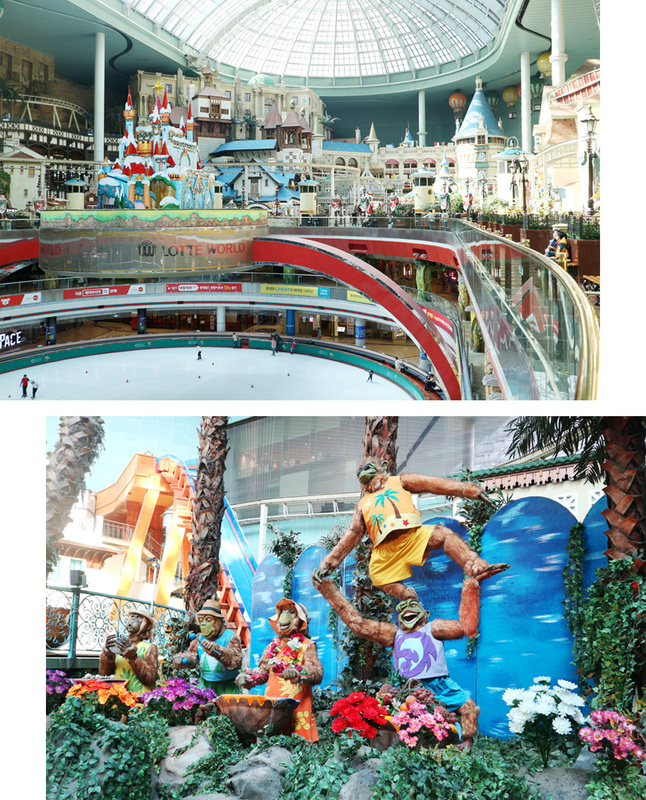 It is a 10 min walk away from Lotte World, located at the basement of Lotte Mall. This is the iconic giant artificial aquarium. A selfie because I have no one to take my pictures. 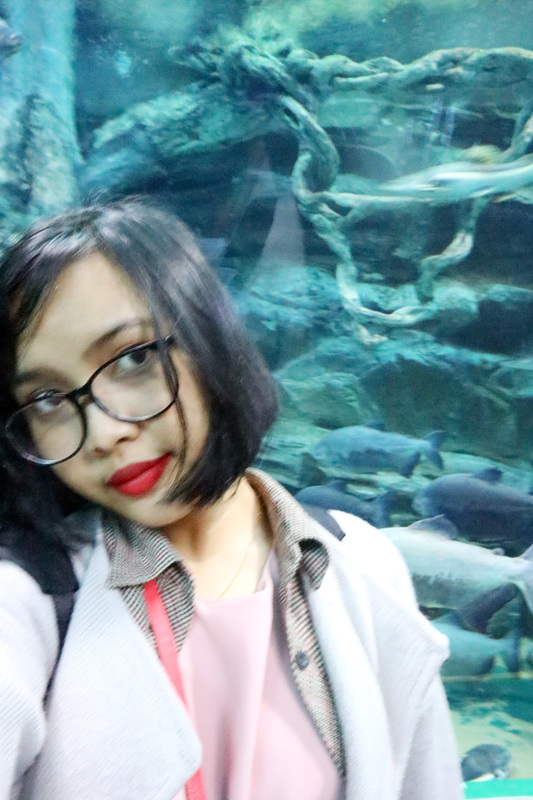 The Lotte World Aquarium! With over 55,000 marine life from 650 species of sea creatures, from river to coast and coast to ocean, from freshwater fish in the Han River to Arctic, they all live in harmony. There are 13 diverse theme zones that allow you to experience the Five Oceans of the world. You’ll see family favorites like Dory and Nemo, but better yet you’ll also get to see rare Beluga whales and 2 meter long nurse sharks! I really want to see Beluga whales swimming in Korea’s largest aquarium. Yes the Belugas were such a joy to observe. The guests that day were mostly kids, solo locals and couples on a date. It was a peaceful activity, so I recommend it for everyone especially the kids! They loved it. It was a short but fruitful day. 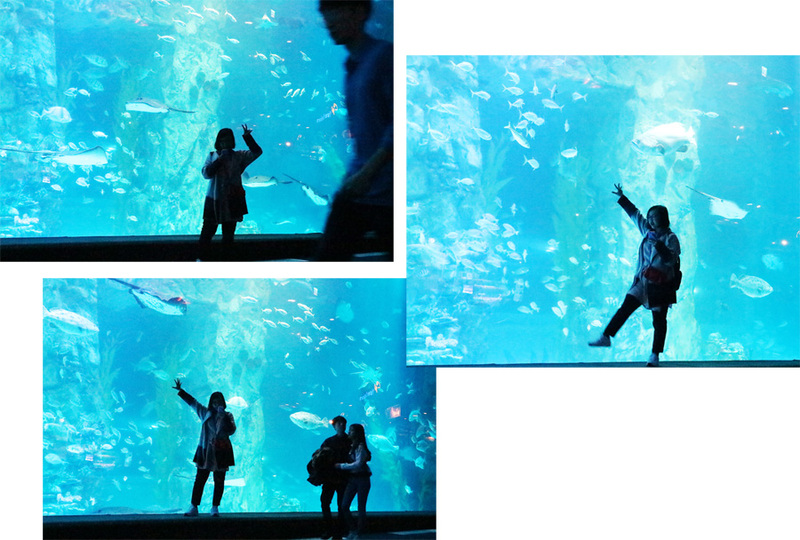 I don't think I need to describe how fun it is in Lotte World & Lotte World Aquarium. By the time I was done exploring the aquarium, it was time for dinner. And I think there is no better way to end a Lotte day than eating in Lotteria. 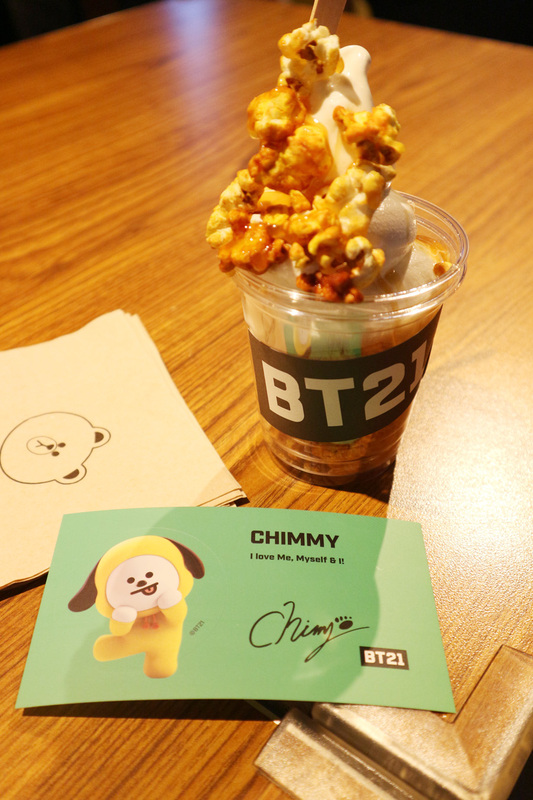 I ordered giant burget and French fries with cola drink then I managed to spend the night at Hongdae area and Line Friends Store & Cafe in Hongdae. Visiting South Korea has been on the highest bucket list for a long time, I actually had planned to visit South Korea at the moment I got accepted to work in my current company since 3 years ago, udah rencana dari tahun lalu banget bakalan ke SoKor tapi lagi-lagi hanya wacana aja karena keborosan diri sendiri, jujur banget dari awal kerja di tahun 2016 setiap bulannya gaji bersih dan uang hasil dari blogging/sosial media bener-bener habis gak bersisa sama sekali, ntah itu habis buat belanja, makan makan diluar, traktir temen-temen + liburan dosmetik hahaha ada sih nabung Rp 500.000 di awal tahun itupun terpaksa karena disuruh orangtua, toh uangnya juga masuk ke rekening tabungan masa depan di BRI (yang dimana gak boleh di gunakan sama sekali sampai nanti aku mau nikah hahaha buku tabungan dan atmnya pun dipegang mama). Kemudian di tahun 2017 aku sudah mulai berkurang borosnya dengan berani nabung 1juta tiap bulannya di bank BRI, ikut arisan keluarga dan di store bareng teman-teman visual di Balikpapan dan di Jakarta, pokoknya seperempat gaji bener-bener buat arisan, sebagian uangku juga aku pinjamin ke teman-teman kerja yang butuh uang, mikirnya sih pas gajian bulan depan uangnya jadi banyak, itupun tetap aja habis juga uangnya karena kesenangan uangnya jadi lebih banyak hahaha. Sebenarnya agak sedih dengan kondisi finansial di 2 tahun ke belakang, bener-bener punya uang langsung habis gitu aja kayak gk ada makna/kenangannya sama sekali, capek-capek kerja dan bikin konten, eh uang ludes gitu aja hahaha (ya meskipun saldo di rekening BRI terus bertambah) tapi aku tetap merasa boros karena saldo di rekening gaji di BCA gak bisa sama sekali ada uang yang kesisa tiap bulannya hahahaha padahal mau di ingat berkat dari kerjaan blogger di tahun itu udah lumayan banget + gaji bersih di kerjaan tetap juga udah puji Tuhan banget untuk ukuran fresh graduate kayak aku. Sampai tiba di akhir tahun 2017, Tuhan baik banget menyadarkan aku lewat seseorang yang lebih bijak dan dewasa dalam mengatur keuangan walaupun cuma sebentar banget bertemu, I can say that he brought something's good in my life. 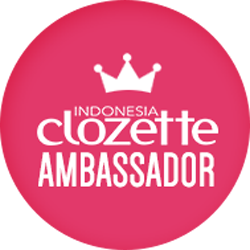 Di tahun 2018, aku pun mulai berani nabung 2 juta tiap bulannya, dan masih intens ikut arisan keluarga & arisan berlian anak-anak store di Balikpapan + arisan dengan mentor-mentor di Jakarta, tiap dapat kerjaan blogger bener-bener gak boleh disentuh sama sekali karena emang niat banget 2018 harus ke Korea. 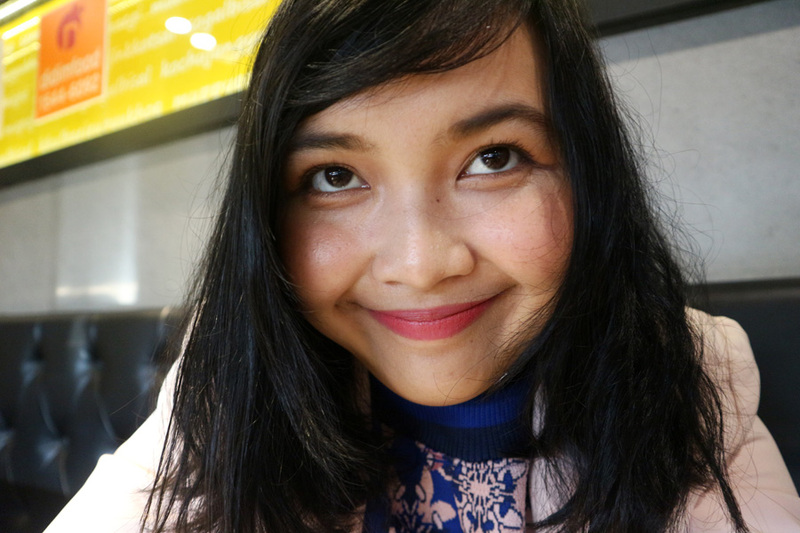 2018 became one of my Best Years in my life, meskipun penuh dengan kepahitan di awal-awal tahun dan akhirnya bisa merasakan manisnya 2018 di pertengahan tahun sampai saat ini, aku pun gak bisa berhenti bilang Tuhan Yesus sungguh baik, karena di tahun 2018 ini aku merasa banyak perubahan baik dalam diriku, mulai dari jadi bisa banget menabung dengan giatnya, hidup penuh kedamaian hati karena udah gak terlalu mikirin omongan jahat orang-orang tentang diriku karena merasa aku beda dengan mereka, mulai menjauh dari orang-orang toxic, aku pun belajar memulai mencintai diriku sendiri dan sudah gak terlalu bergantung ke orang tua apalagi ke teman-teman sekitaran, berani straight forward ke orang lain, berani bilang "tidak" ke orang-orang. I can truly show people who I am, how I feel and how I think. 2018 juga menjadi tahun dimana aku mulai kembali aktif lagi menjadi pianis di gereja, setelah 2 tahun udah balik lagi ke Balikpapan tapi selalu ngumpet gak mau bertugas karena rasa "malas", mulai rajin ngeblog kembali, dalam tahun ini pun aku berhasil menjadi guest speaker membahas bidang yang aku sudah tekuni sekian lama (blogging & beauty) di 3 local events di Balikpapan, sungguh tahun yang bener-bener merubah aku jadi lebih percaya diri dengan kemampuan yang aku punya. Banyak banget bucket list yang sudah aku tulis di notes HP aku dari jaman kuliah terkabul di tahun ini. Di tahun ini pun aku berhasil membuat mama dan papaku syok karena aku bisa urus visa sendiri tanpa meminjam buku tabungan apalagi uang mereka untuk keperluan rekening koran (berhubung aku menggunakan jasa travel agency untuk mengurus visa di Balikpapan, pihak agensi mengharuskan rekening koran minimal harus 35juta), bener-bener kaget bukan main karena mereka tau aku ini boros banget tapi ternyata anaknya bisa menabung. Meskipun di awal aku mencoba menyodorkan rekening BRI yang memang pasti lolos kalau mau liat saldonya (ya karena bukan aku aja yang menabung di rekening itu, orang tua juga masih memberikan pocket money untuk bekal di masa depan) tapi dari pihak travel agency disini tetap meminta rekening lain yang dimana uang keluar dan masuknya aktif karena rekening BRI aku emang gak ada riwayat uang yang keluar sama sekali, adanya uang masuk terus (ya gimana ya aku gak pernah diperbolehkan untuk menggunakan uangnya sama sekali hahaha) dan aku pun akhirnya menggunakan rekening BCA (yang merupakan rekening gaji + rekening aktifku satu-satunya), aku ingat banget waktu itu sibuk urus visa di bulan September lalu isi saldonya cuma 22juta (uang hasil nabung ceperan kerjaan blogger-guest speakers dan sisa sisa gaji tiap bulannya), seriusan deh sebuah pencapaian bagi diriku yang bisa mengumpulkan uang mengendap di rekening BCA sebanyak 22juta selama 9 bulan itupun udah kepotong uang tiket pesawat PP dan hotel selama di Korea (karena gak pernah mikir untuk menyodorkan rekening koran BCA sama sekali). Akhirnya pihak agensi langsung mau menguruskan visa korea-ku karena dokumen sudah lengkap, dan aku pun memberikan dua rekening koran dari rekening BCA dan rekening BRI ke mereka (awalnya kalau gak ngasih rekening aktif, mereka menyarankan untuk urus sendiri ke Jakarta yang dimana menurutku uangku akan habis banyak cuma untuk urus visa doang hahaha). Total biaya membuat visa Korea pada bulan September 2018 adalah IDR 730.000, menurutku masih dalam batas wajar karena aku tidak perlu membuang uang lebih banyak lagi untuk mengurus sendiri ke Jakarta (biaya tiket PP Jkt-Bpn, biaya akomodasi, biaya transportasi, dll). Emang bener deh apa kata pepatah satu ini, "when there's a will, there's a way", kalau emang punya niat yang sebanding lurus dengan aksi, semuanya bisa terwujud kok. So here I am now, anak tengil yang borosnya minta ampun akhirnya bisa berliburan sendiri ke negara impiannya dengan uangnya sendiri. Never stop dreaming and achiving those dreams, guys. 9th November 2018, I took my annual leaves (10 days) for this solo trip, for domestic flight from Balikpapan to Jakarta I was using my brother's Garuda point (yup dapat berkat tiket PP Balikpapan Jakarta sebagai hadiah ulang tahun dari kak Olan), aku memutuskan untuk menginap semalam di kota Jakarta sebelum berangkat ke Korea. Waktu itu cuma diantar papa bareng kak Onal dan juga papi, mama gk ikut nganter karena lagi ada di Modang ada acara keluarga. Alasan aku menginap semalam di Jakarta supaya bisa menyempatkan waktu bertemu langsung dengan Charis people; Livia and Shana karena mereka emang lagi menetap di Jakarta untuk proyek Charis. 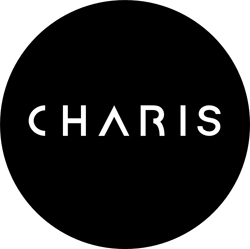 Seperti kalian tau, I am one of Charis Celebs so I made an appointment to have a quick meeting with them through DM Instagram in October, we had super fun meeting that day; talking about Charis' project, retail life, and much more topic. 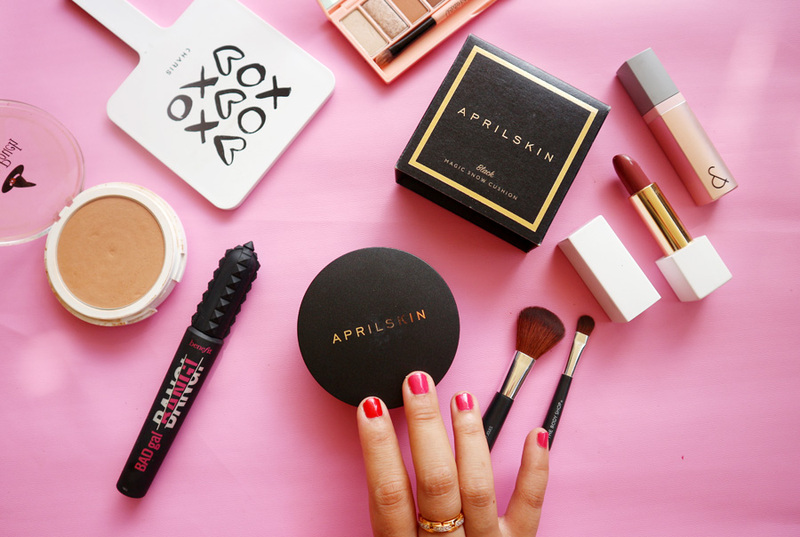 Shana and Livia also gave me beauty tips, some good informations about what to do and where to go when I'm in Seoul. The next day, I took my morning flight to South Korea, I booked this round trip flight tickets in September, I chose Singapore Airlines again (which means I have to transit in Singapore for 2 hours) haha but it's okay lah ya harus transit toh Changi airport tidak membosankan sama sekali, aku malah jadi punya waktu untuk explore terminal baru Changi, hari itu juga aku sempat mengunjungi Butterfly Garden di terminal 3 Changi dan nonton Hotel Transylvania 3 di bioskop bandara. 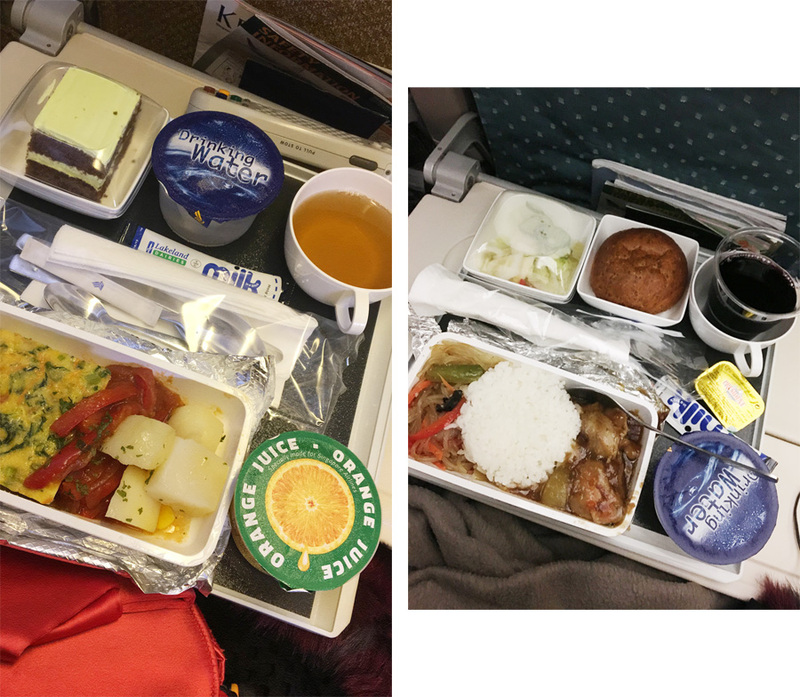 Keluar negeri dengan Singapore Airlines bukan yang pertama kalinya, aku pertama kali naik SQ tuh waktu ke Jepang di tahun 2014. Dan aku sangat nyaman menggunakan maskapai penerbangan ini dan tentunya gak pernah merasa kecewa dengan makanannya serta pelayanannya. 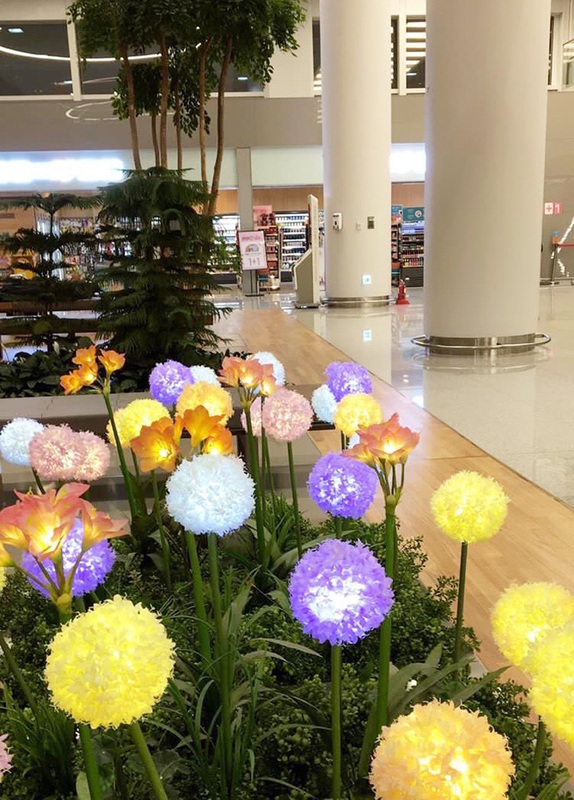 I arrived in South Korea by September 10th 2018, in the middle of night around 11 PM. Turun dari pesawat langsung syok karena mikirnya bandara bakalan sepi banget karena udah tengah malam eh gak tau pas liat antrian panjang di imigrasi langsung buyar konsentrasi karena ingin mengejar kereta terakhir ke Seoul station. 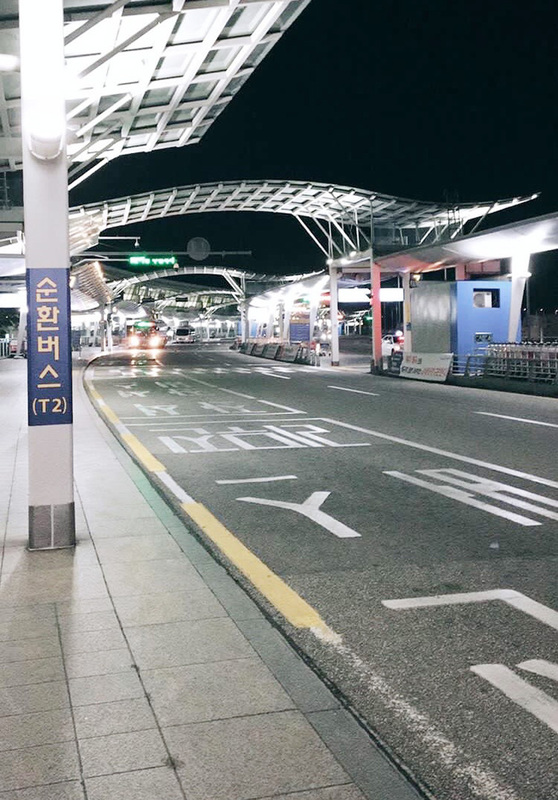 Pada akhirnya aku pun telat ngejar kereta terakhir hari itu karena masih celingak celinguk kebingungan di Incheon airport yang gedenya sama kayak Changi airport, waktu itu sempat iseng mau naik taksi ngecek di internet ya ampun mahal banget tarifnya, ku urungkan niat karena bawa cash Won juga dikit banget hari itu. 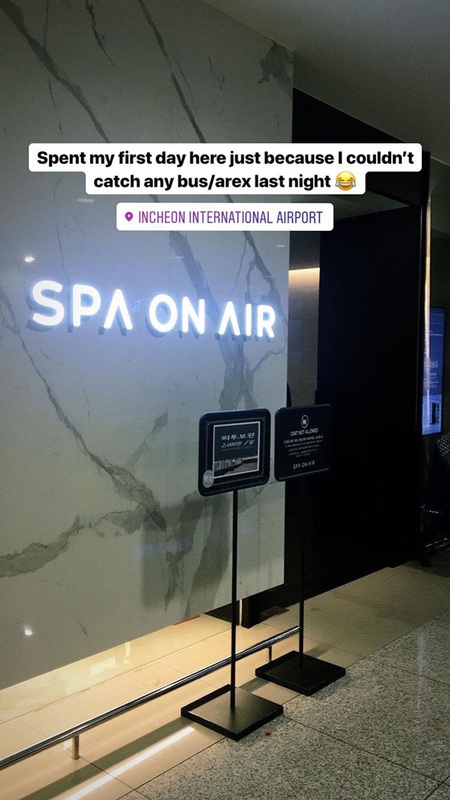 Awalnya dari masih di Balikpapan udah niat pengen banget malam pertama di Korea harus nyobain Korean jjimjilbang dengan menginap di Siloam Sauna deket Seoul station (tempat sauna terkenal di Korea) tapi akhirnya malah jadi menginap di Spa on Air, sauna kecil di terminal 2 bandara Incheon deh. Itupun aku harus menunggu sekitar 2 jam lebih baru bisa masuk ke Spa On Air karena emang lagi penuh (sekitar jam 2 pagi baru bisa masuk untuk istirahat di tempat saunanya). Biaya yang aku habiskan di Spa On Air kira-kira 7.000 Won (dengan rate 1 won pada saat itu 13,10 rupiah). Sambil menunggu kuota pengunjung berkurang di Spa On Air, aku memanfaatkan waktu yang ada untuk keliling dari terminal 2 ke terminal 3 menggunakan shuttle bus gratis punya bandara untuk beli T-Money card (kartu untuk transportasi umur; subway/kereta, bus selama di Korea) di terminal 3, bener deh malam itu aku gak ngerasa ngantuk sama sekali saking senangya karena bener-bener udah nyampe di Korea. 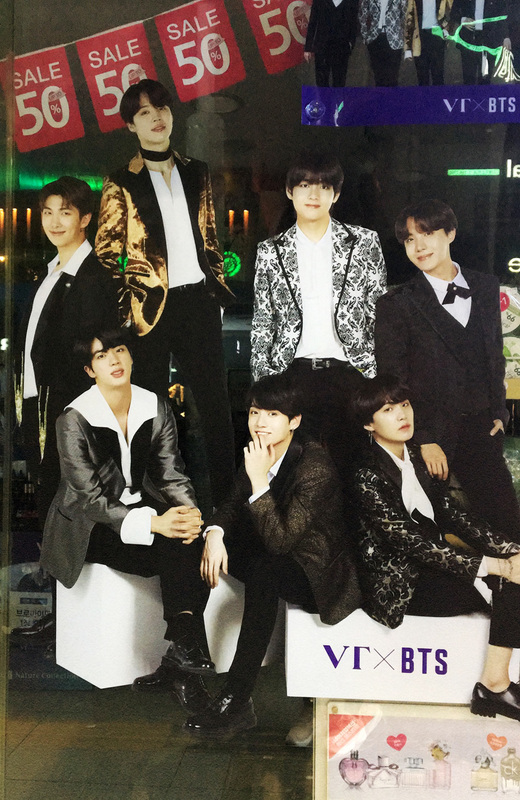 Untuk T-Money card aku belinya dengan harga 5.000 won di GS25 (sejenis indomaretnya Korea gitu), waktu itu nyari di Seven Eleven bandara yang dijual cuma Cash Bee card aja. Dan beberapa tempat makan dan mini mart udah pada tutup karena baru keluar dari area imigrasi dan ngambil bagasi sekitar 12.15 PM. 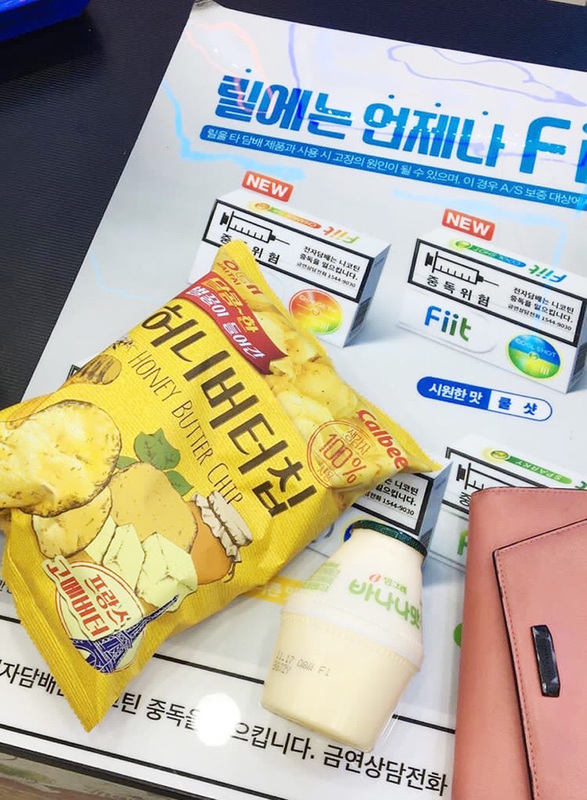 Katanya sih belum resmi ke Korea kalau belum rasain banana milknya dan honey butter chips (totalnya sisa kalau gak salah ingat 3,600 won, yup sekitar Rp 47.000 untuk cemilan aja), jadi belanjaan pertama yang aku beli di Korea ya banana milk ini yang sungguh rasanya aku gak suka sama sekali. I woke up at 6 AM, setelah berendam air panas dan mandi di Spa On Air, I decided to go to Eurwangni Beach first before going to Seoul, the beach is located near Incheon airport, it took only 15minutes to go there by local bus, tarif sekali naik bus lokal/subway di Korea Selatan rata-rata sekitaran 1,250 won (kalau jaraknya lebih dari 10km tarifnya akan bertambah yak, sekiranya setiap 5km, penambahan ongkos yang dikenakan sebesar 100 won). Penasaran banget pengen liat wujud pantai di Korea itu gimana ya kan jadinya pas di Balikpapan aku iseng nyari pantai terdekat yang ada di Korea, dan muncul lah Eurwangni Beach ini di pencarian google. Sekitar jam setengah 8, aku memutuskan untuk balik ke Incheon airport utk menuju Seoul Station menggunakan all-stop train, biayanya 4.250 won menggunakan T-Money card (aku udah top up 25.000 won di malam sebelumnya). 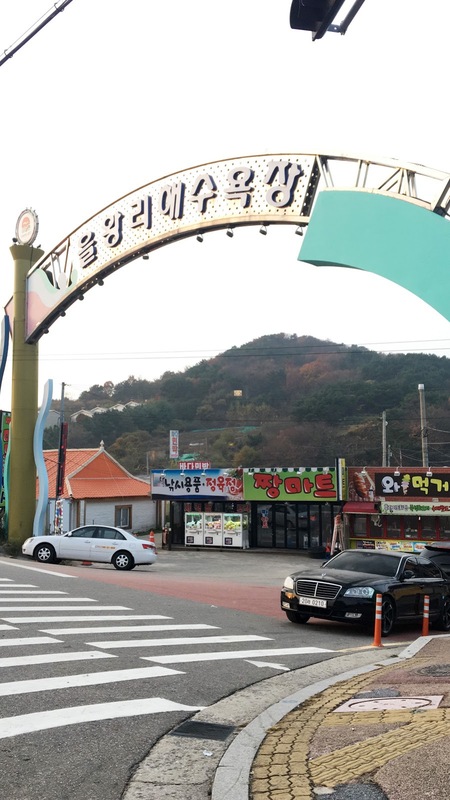 Awal datang ke Korea itu ya aku cuma bawa uang 80.000 won sekitaran Rp 1.288.000 karena rate di haji la tunrung mahal banget Rp 16,10 dan beberapa dolar loh buat jaga-jaga. Itupun berani bawa segitu aja karena aku udah janjian bakalan tukar uang Rupiah ke Won sama temanku, Farras (mahasiswa Indonesia yang sedang kuliah semester akhir di Korea Univesity) pas udah nyampe di Myeongdong. I lived in Myeongdong which was super dangerous because it meant I was literally three minutes away from shopping damage LOL. Tukar rupiah ke won sama Farras was the best deal, dikasih rate 13,15 aja kalau di Jakarta rate Won rata-rata 13,70 dibulan itu. 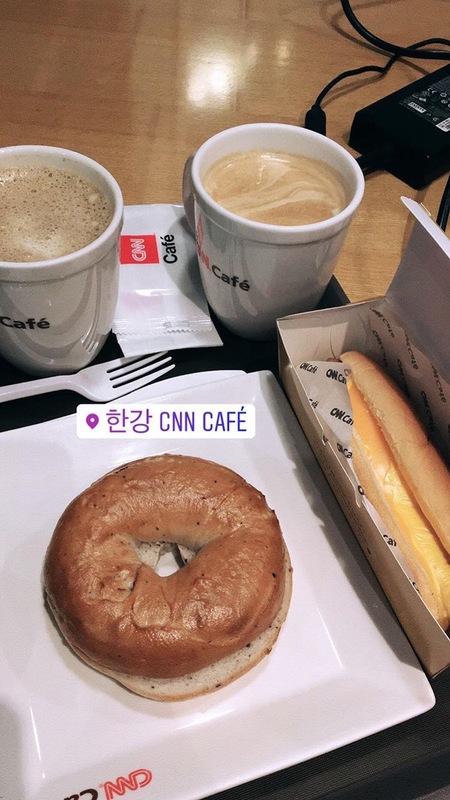 Baik banget kan punya teman macam Farras ini, udah gitu bersedia nemenin keliling Myeongdong, Han River dan Itaewon seharian lagi. 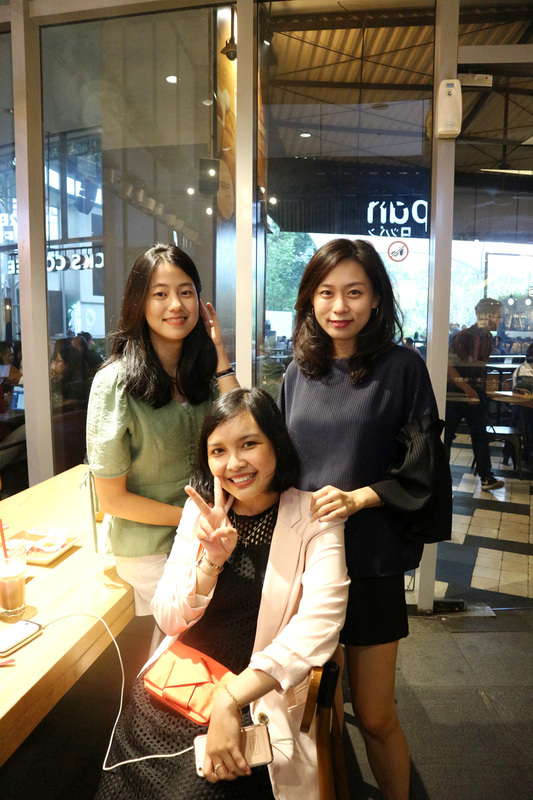 Oia, pertemuanku dengan Farras ini yang pertama kalinya banget, we've been friends since 2011 through virtual world, aku kenal dia dari Twitter karena aku berniat meneruskan pendidikan S2 di Korea lewat beasiswa KGSP bareng doi, oia tahun 2011 itu Farras masih SMA ya dia mau ngurus beasiswa S1-nya di Korea University tahun itu. Tapi nasib berkata lain, aku memutuskan untuk bekerja hingga sekarang, sedangkan dia udah mau lulus S1 aja dari Korea University hehehe. Pokoknya dari 2011 itu kita saling kontak-kontakan sampai sekarang. 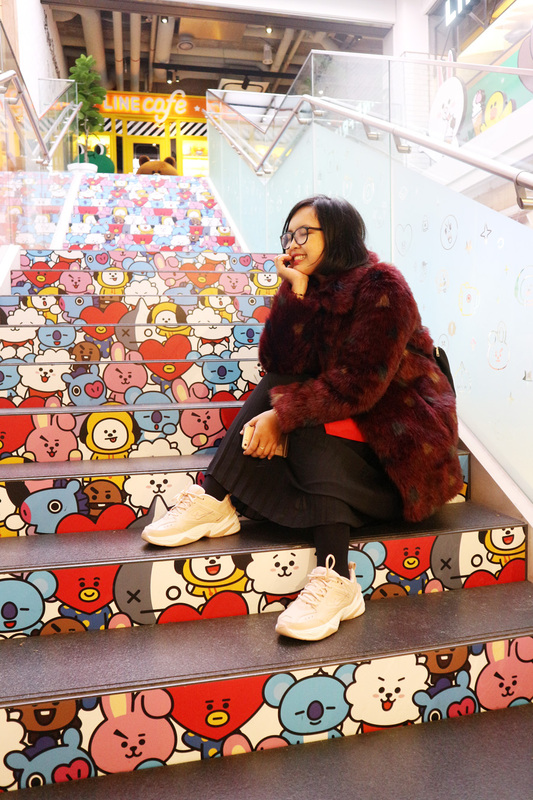 I lived at Step Inn Myeongdong for 7 days, untuk biaya akomodasi ini aku mengeluarkan uang sebesar Rp 1.670.000 yang aku beli di Traveloka bersamaan dengan tiket pesawat, aku memilih di daerah Myeongdong karena setelah cari-cari opsi di Traveloka rata-rata toilet di tempat penginapannya yang ada airnya sebagian besar ada di daerah Myeongdong hahaha yup di Korea kalian bakalan jarang banget deh nemu toilet yang ada airnya, untuk keperluaan BAK & BAB orang Korea cukup pakai tisu aja. 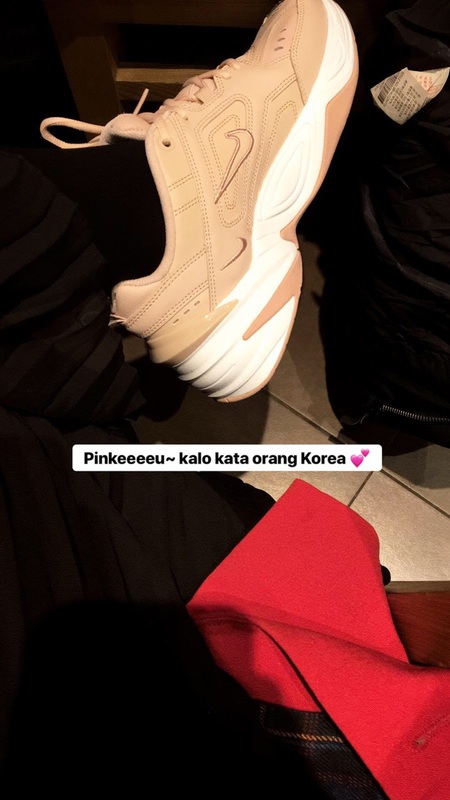 I decided to meet Farras at H&M Myeongdong (the flagship store), setelah itu kita lanjut berburu sneakers baru karena dari Indonesia aku cuma pakai sendal bulu hadiah ulang tahun Moon Young dan Cece aja. 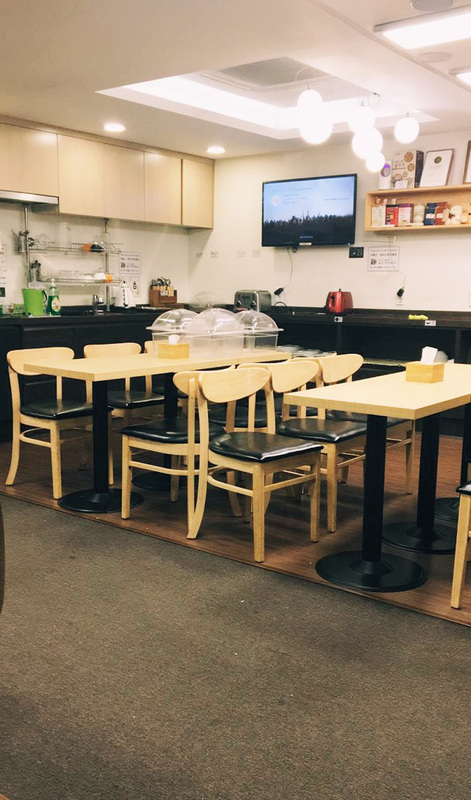 Setelah sesi belanjanya selesai (yup kalap dimulai dari hari pertama), kita lanjut makan siang di restauran Myeongdong untuk nyobain dakgalbi seharga 26.000 won, habis itu ke kantor Indiway di Myeongdong untuk membayar segala bookingan tur dan tiket masuk Lotte World & Lotte Aquarium, disana aku pake jasa agen travel lokal untuk tur di luar kota Seoul (Everland & Petiti France-Nami Island tour). 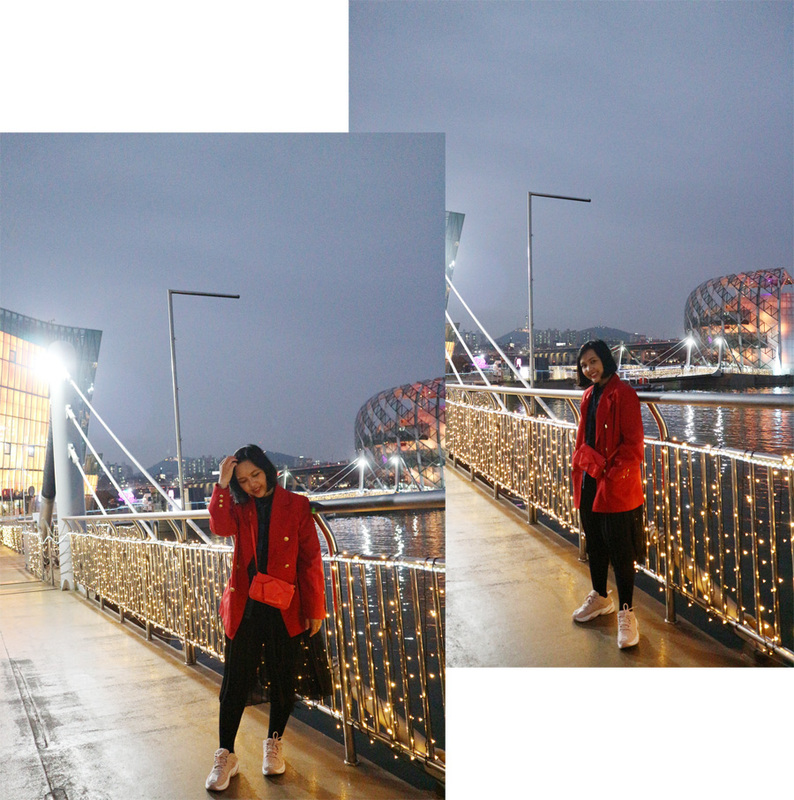 Next destination; Han River. We went there by train. 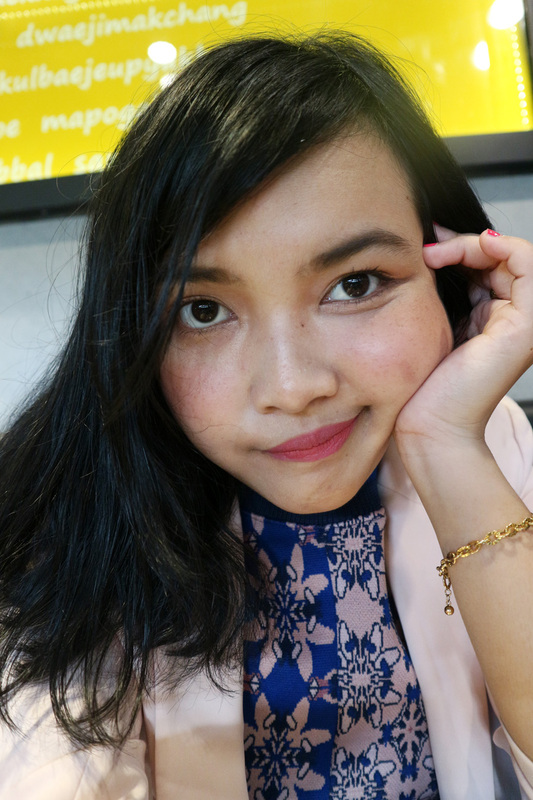 Udah agak gelap langitnya karena berangkat dari Myeongdong sekitar jam 5 sore, terus pas nyampe disana hujan gerimis tapi gak menghentikanku untuk tetap ambil foto OOTD. 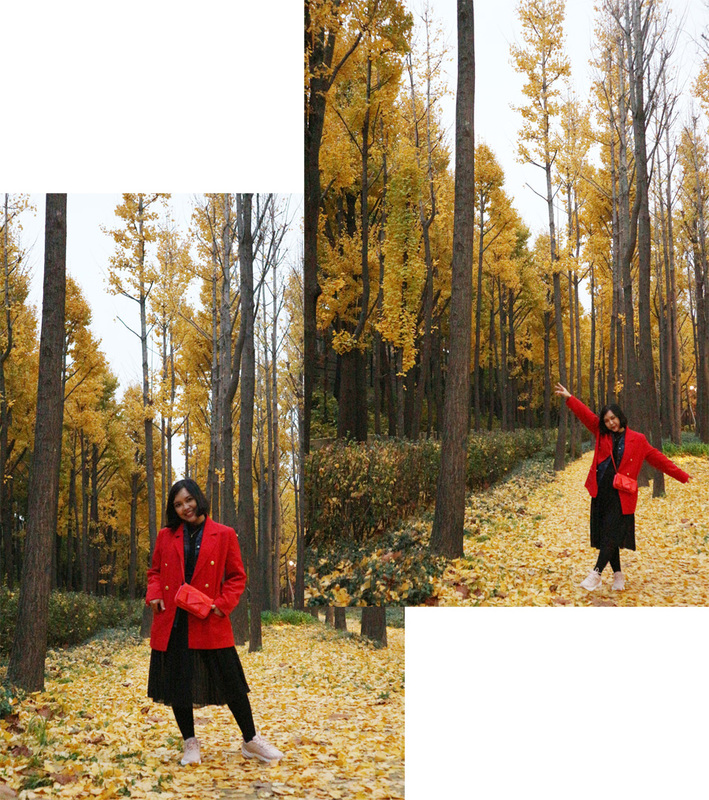 I guess Korean people really care about nature a lot that they do have beautiful parks for people to sit and enjoy their time, I can always find peaceful places to relax and be inspired. 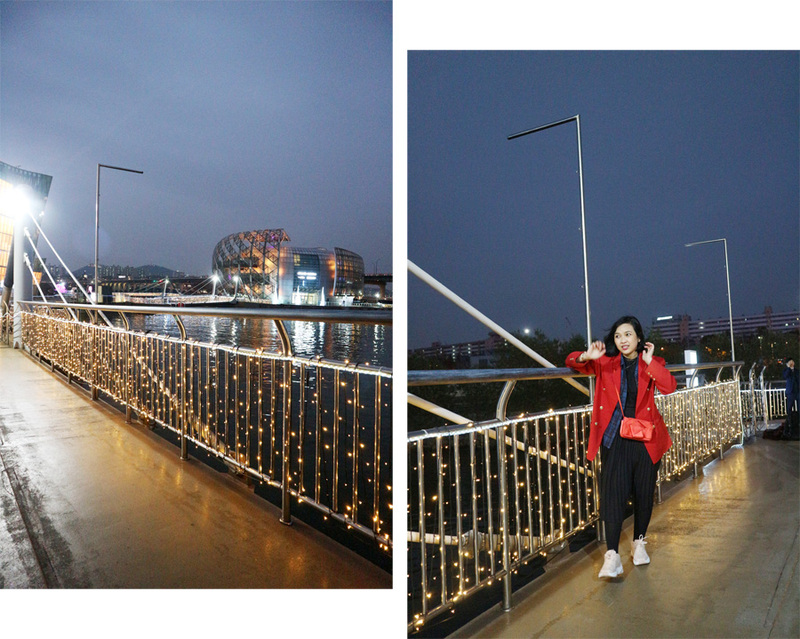 Han River at night, near CNN cafe. 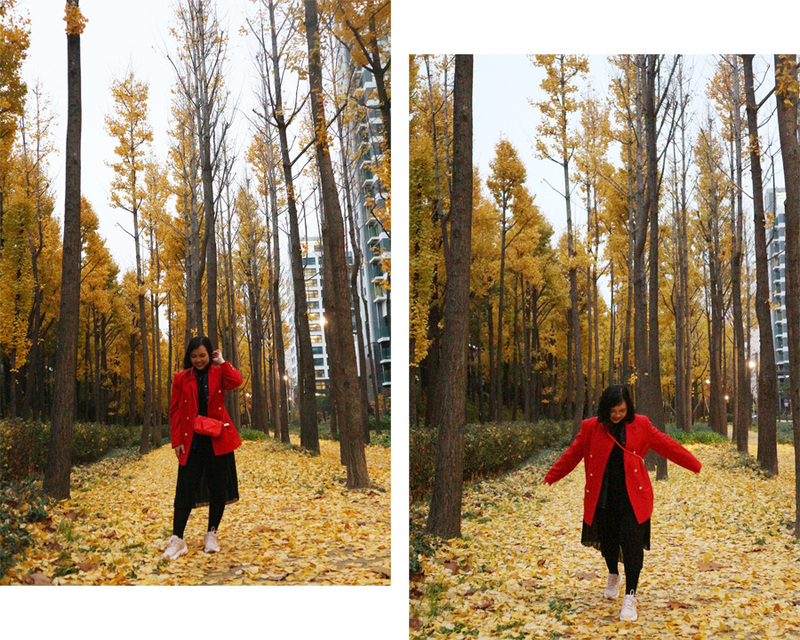 Seriously, I didn't expect Seoul to be that cold, I had to wear 4 layers that day; a maxi dress + black tights, a tartan shirt, a red coat and a thick fake fur coat. Di Korea untuk musim gugur di bulan November, suhu dinginnya sungguh menusuk banget sampai tulang, gak bisa mikir gimana kalau sudah masuk musim salju deh disini hahaha dari awal sebenarnya temanku Farras dan Shana Charis udah ngasih tau sih kalau di Korea itu bakalan dingin banget tapi aku kurang mendengarkan omongan mereka, mikir semua musim gugur itu sama aja, karena waktu musim gugur di Jepang aku tahan-tahan aja sama cuacanya cuma modal pakai legging tebal + sweater atau stocking + dress + 1 coat aja tiap hari. 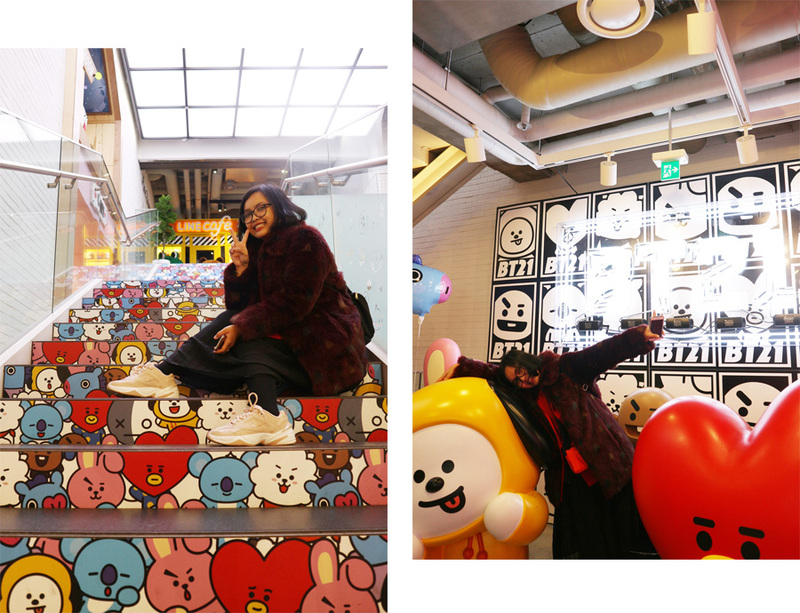 Favorite place so far, Line Friends Store & Cafe, Itaewon. 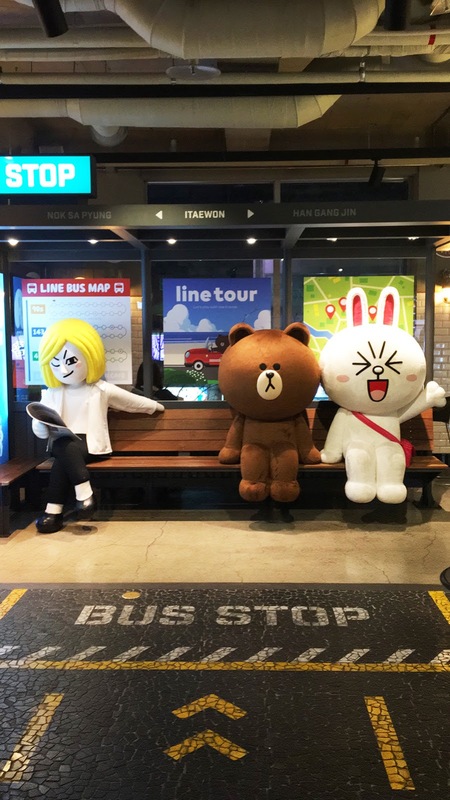 Sebenarnya aku biasa aja sih sama Line Friends storenya, gak terlalu gimana gitu ngeliat Brown raksasa ini di depan pintu masuknya, yang bikin aku excited ketempat ini karena di Line Friends store & cafe ada Line BT21, yup aku kesini karena niat mau beli merchandise BT21 (created by BTS) sekalian mau siaran untuk Podcast bareng Farras dan bang PJ untuk Podcast Ask Bro's Talk Season 1 Episode 4, we talked about work vs marriage that day. A quarter-life crisis but will always be a kid at heart. 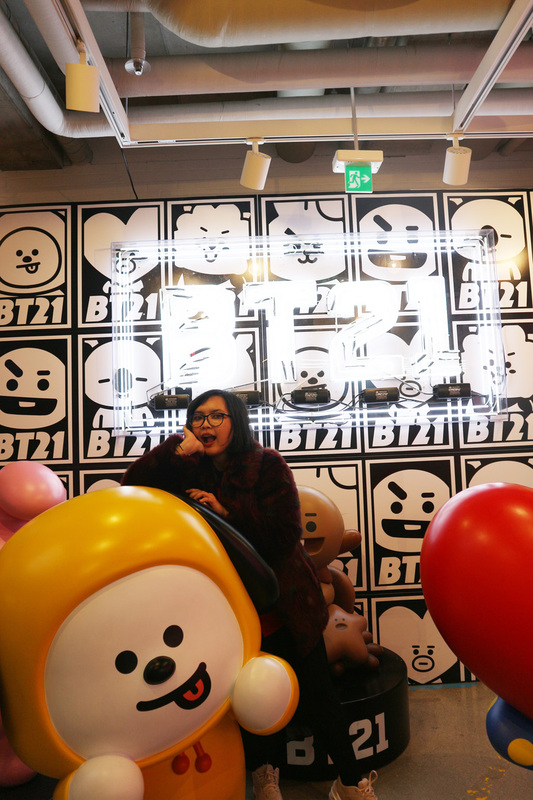 Couldn’t count how many times I visited Line Friends Store & Cafe while I was in South Korea. Saran ya kalau lagi ke Korea pas musim gugur atau musim dingin, pokoknya jangan sampai lupa untuk tetap makan es krim ya walaupun cuaca lagi dingin, gentak aja buat cari sensasi.